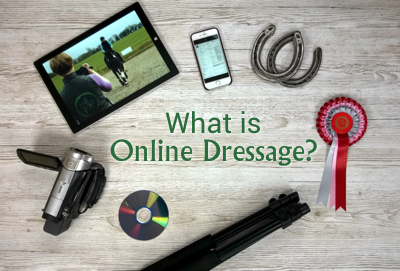 Explore all the news articles from Dressage Anywhere on an easy to use timeline. 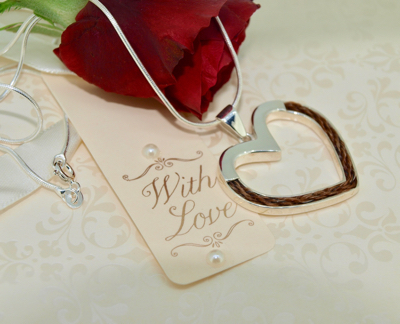 Are you looking for something unique and original to gift your horsey Mum this Mother's Day? 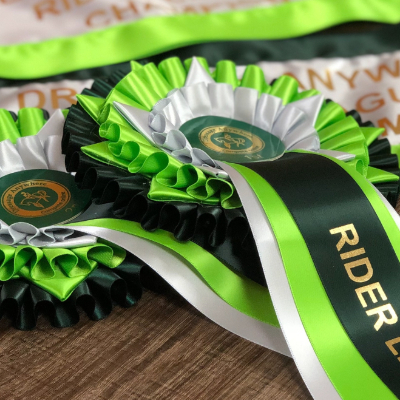 March is the last month riders can qualify for the 2019 RDA Online Dressage Championships ! Our next Champion Born to Shine on the Centre Line is Diane Lowes from Buckinghamshire. 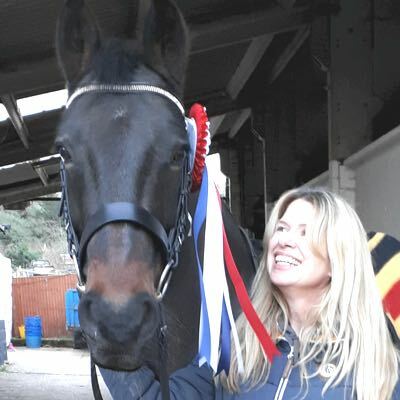 Diane and Jessie placed 2nd in the BD Online Associated Championships 2018 at Introductory Restricted. 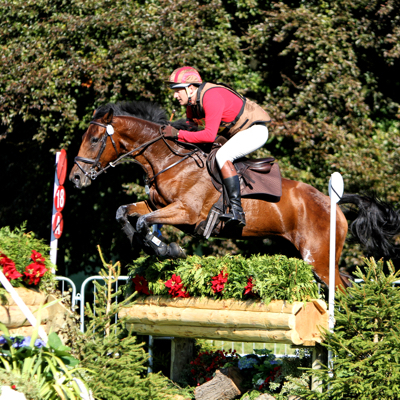 Eventers around the country are keeping everything crossed that the 2019 season gets off to a great start this March. 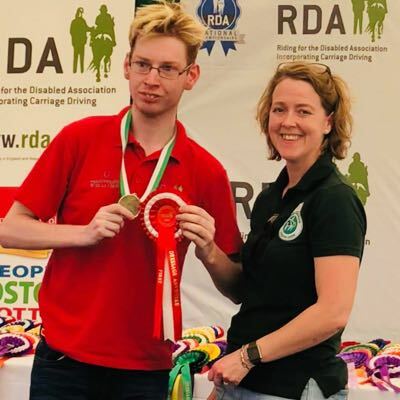 Our BD Para-Equestrian classes have been running since late 2018 and we'd love to see even more riders get involved. 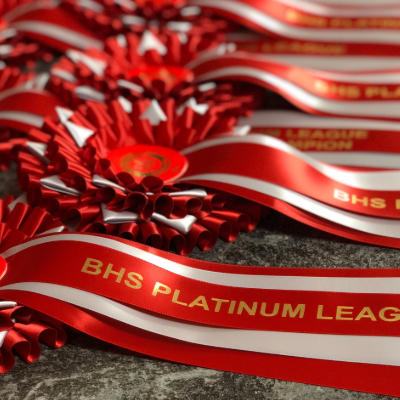 During 2018 we hosted the BHS Platinum League to celebrate the 70th anniversary of the BHS. 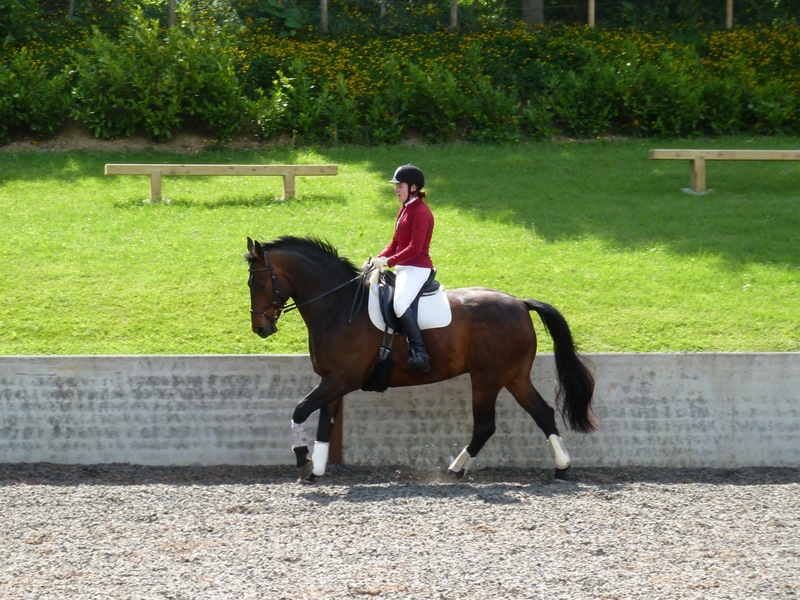 Members competed in our online dressage competitions to earn points towards the league. 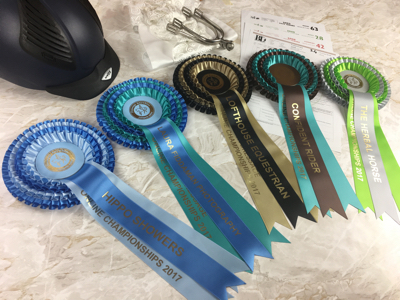 Champion and Reserve Champion announced! 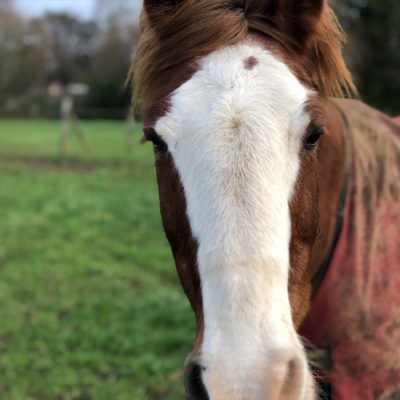 Sporting Hero (3 May 1993 - 24 December 2018) 'one in a million horse', my best friend. 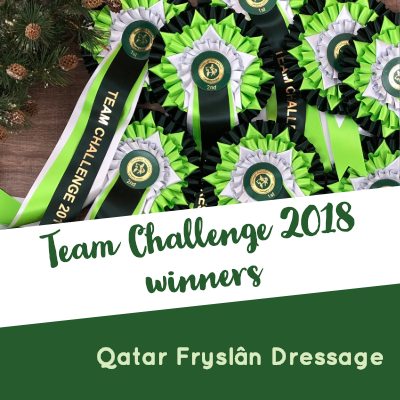 Well the wait is over, the scores have been checked and verified and we can now reveal that the champion team topping the 2018 Dressage Anywhere Team Challenge leaderboard is Qatar Fryslan Dressage! Have you got a golden oldie? Our 2018 Jim Boyle's Ex-Racehorse League Champion has been crowned! 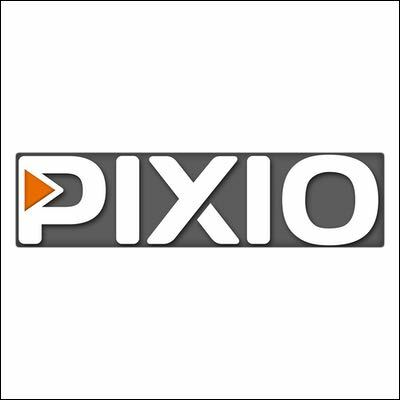 We're very excited to confirm that this year's Team Challenge sponsor is PIXIO! 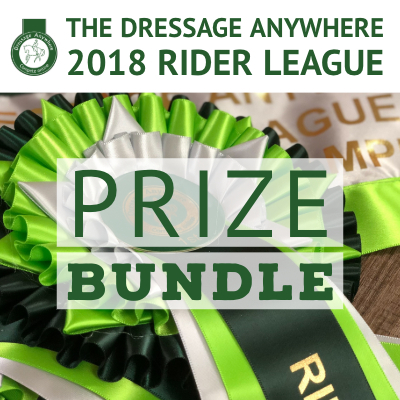 We're working on something very special for the winner of this year's Rider League - a prize bundle from some of our favourite equestrian and country brands! 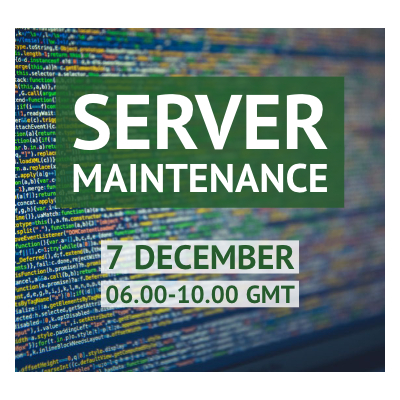 The server move is complete and website downtime kept to 1 hour. 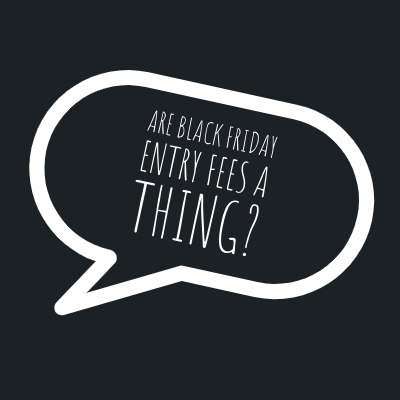 Are Black Friday entry fees a THING? 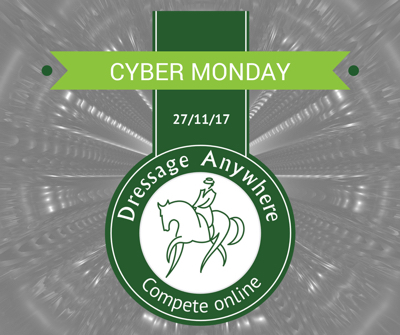 Here at Dressage Anywhere, Cyber Monday is our thing! 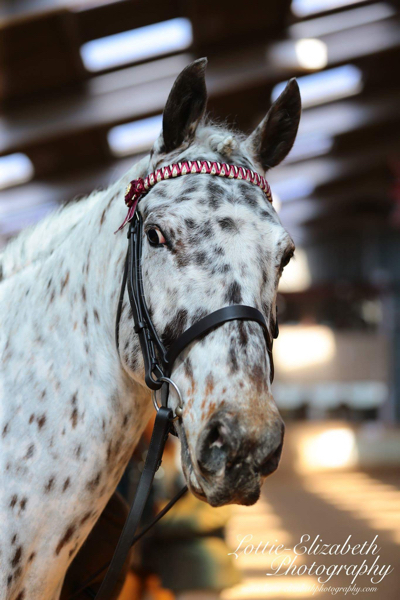 We've got some great news for para riders! 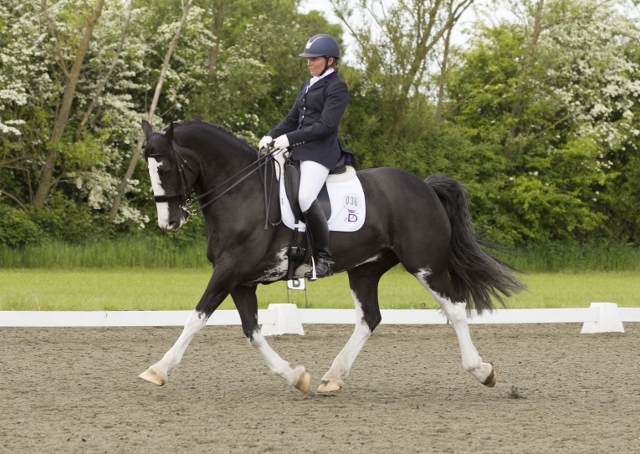 We've teamed up with British Dressage to offer a new online Para-Equestrian competition. This weeks's star of Born to Shine on the Centre Line is Tizze Jarvis from the Cayman Islands and British Virgin Islands. Our Born to Shine on the Centre Line feature is back! 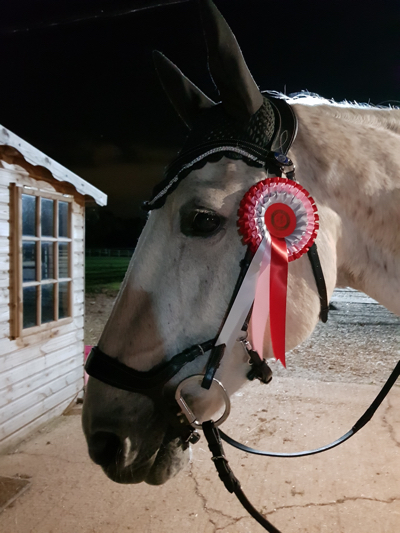 And this week we meet Kelly and Lily, a 17 year old grey Irish Sport Horse who won September's Veteran Horse Intro class. 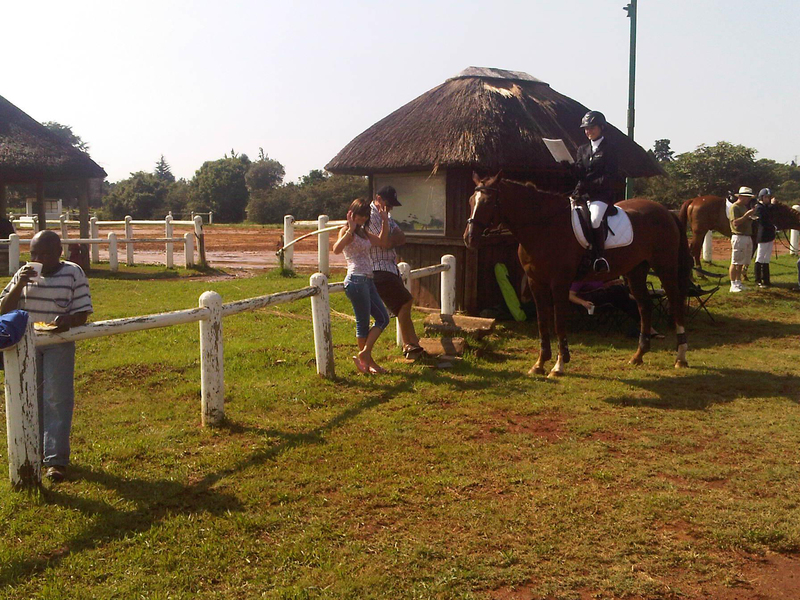 The BHS Platinum League is off to a great start with riders all over the world taking part. 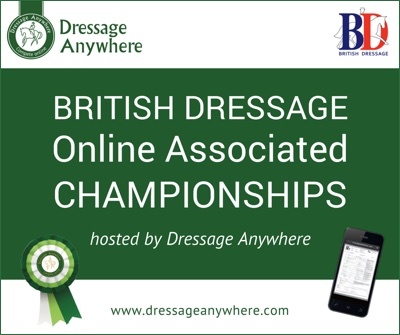 The schedule for the British Dressage Online Associated Championships is live! 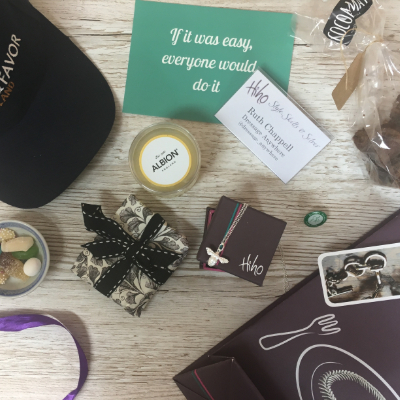 We love collaborating with other like-minded businesses, so when our recent class sponsor, Hiho Silver announced they were holding an InstaMeet, we jumped at the chance to get involved. Why we changed our close of entries date. Our close of entries date has changed! 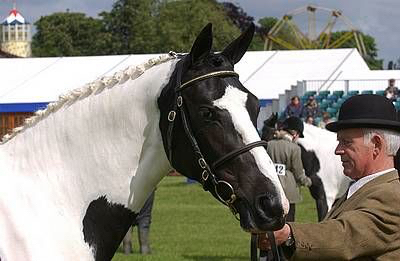 The Jim Boyle's Ex-Racehorse competition class has been a popular feature on our schedule for many years. 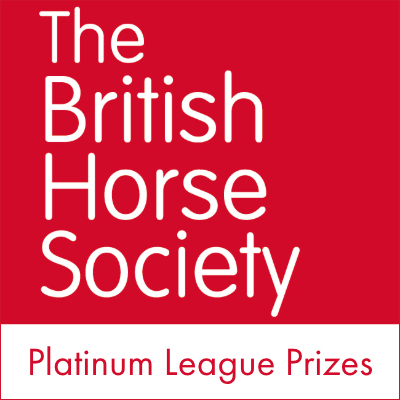 We're joining forces with the British Horse Society to launch the BHS Platinum League in celebration of 70 years of the BHS. 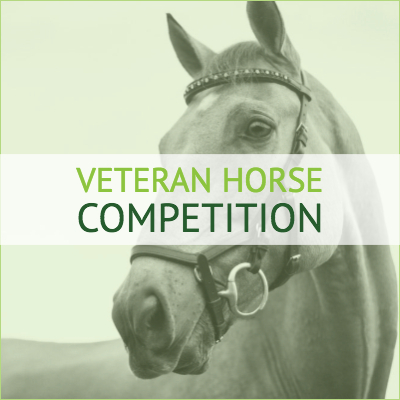 We've made some changes to the entries close date of our competition and training classes with immediate effect. 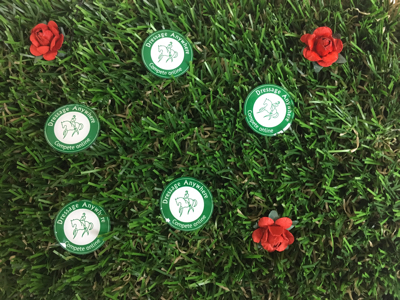 This June, all of our placed riders will receive an extra little something with their rosettes - a Dressage Anywhere, Compete Online badge! 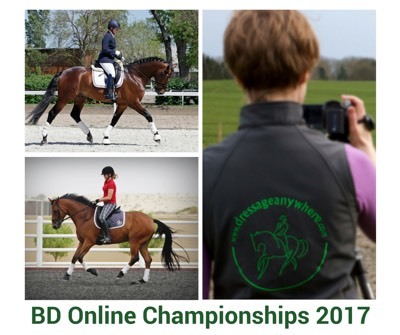 Have you qualified for the BD Online Associated Championships? 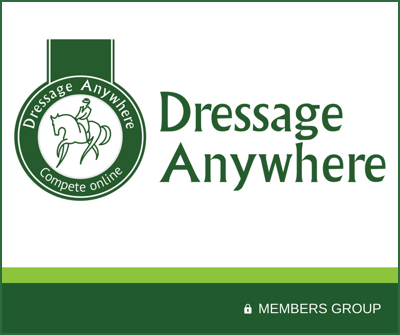 Now you can register your qualification online with Dressage Anywhere! 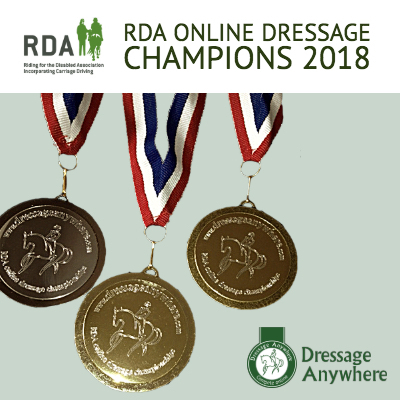 Congratulations to everyone who took part in the RDA Online Dressage Championships 2018! 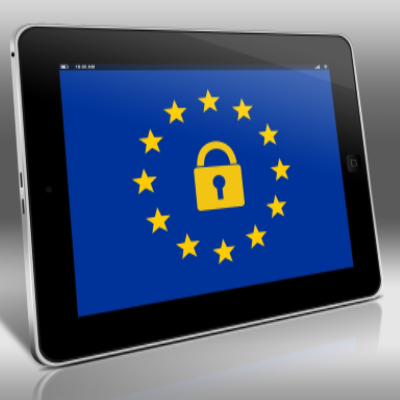 If you haven't heard about the new data privacy laws coming into effect in the EU, WHERE HAVE YOU BEEN? And, can I come and live with you? 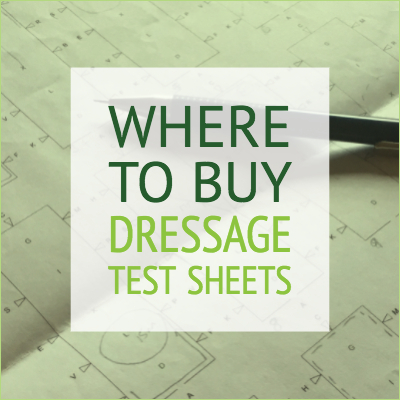 So you've entered an online dressage competition and are thinking about preparations, but where do you get a copy of the test sheet to start learning it? 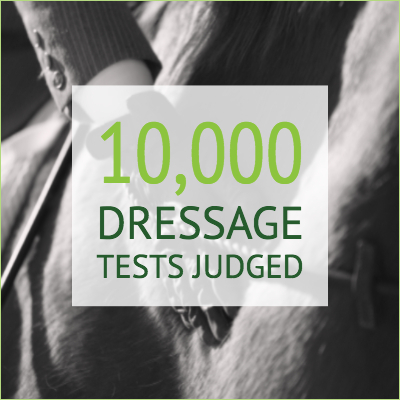 We've hit a major milestone - Dressage Anywhere has judged over 10,000 dressage tests from around the world! You don't need to be an expert to film a test. 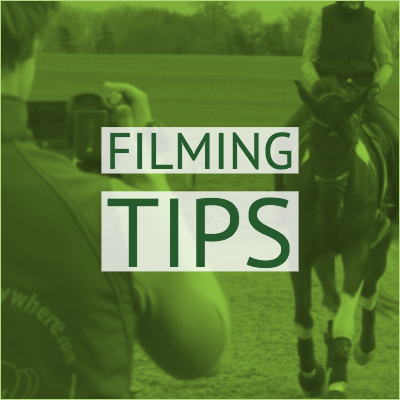 It's really easy and by following the tips below you'll have a perfect Dressage Anywhere test ready for judging. The team behind The Three Amigos FUNdraising Group have been fundraising for Cancer Research UK since 2006, raising a fantastic £102,000 over the years. 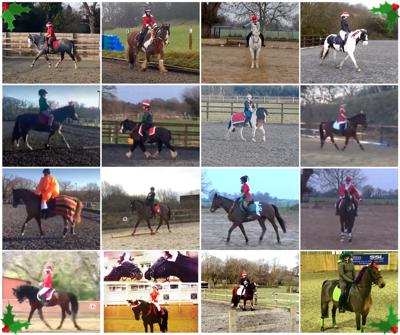 Did you know you can add multiple horses to your Dressage Anywhere profile? 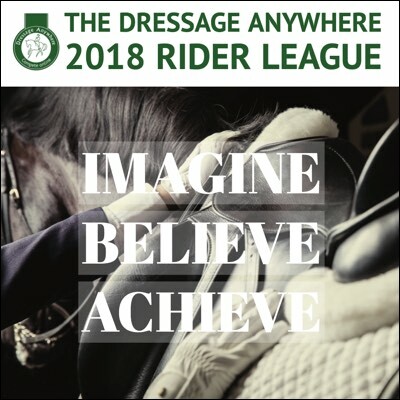 The 2018 Rider League is underway! 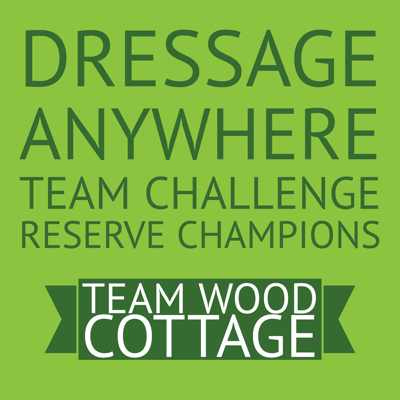 Find out more about our Team Challenge Reserve Champions! We love celebrating our member's successes and here's a great one from 2017! 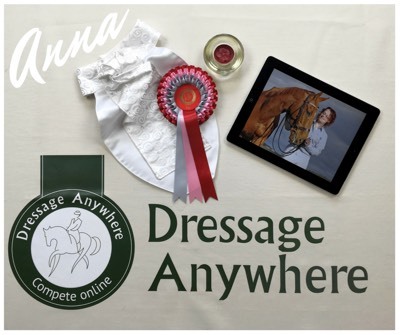 It's time for the sixth RDA Online Dressage Championship Show! 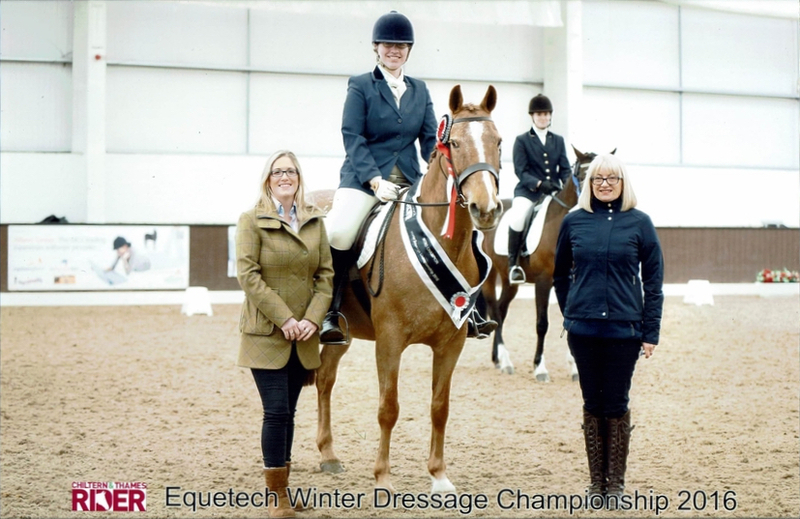 How excited are we to welcome Equitain as sponsor of our March Novice class?! 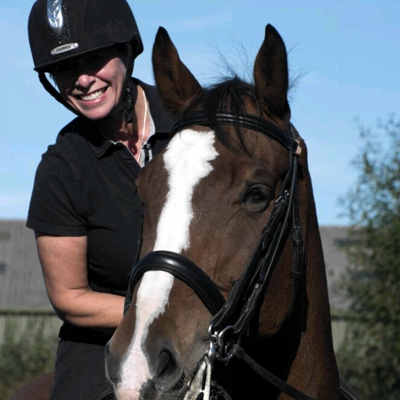 Alison is the lovely lady behind Tail End Jewellery and sponsor of our February Novice class. 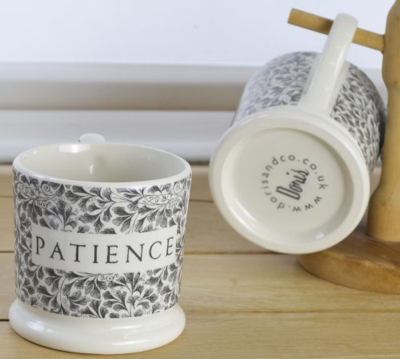 Find out more about how Alison started out and the lovely pieces she makes by hand. From the outside, Broad Town CE Primary School looks like any other ordinary school. But it has a secret. 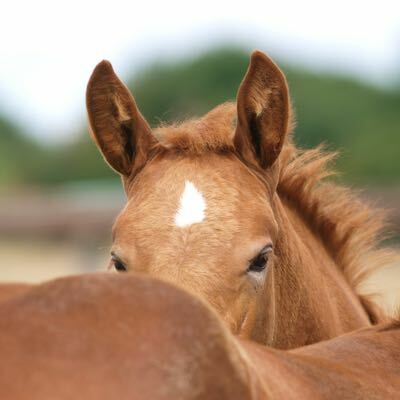 It has a fantastic riding team run by Gretchen Dent! 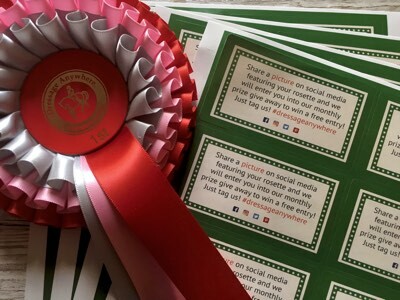 WIN a free entry in our monthly prize draw! 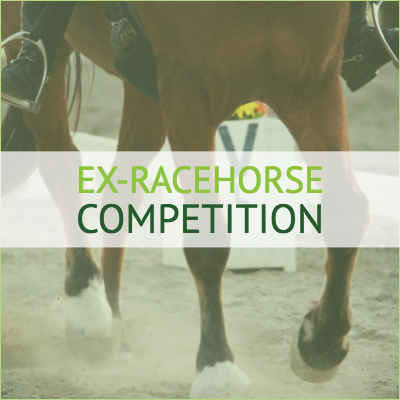 The 8 Days of Dressage Anywhere may be over, but we've got a bonus prize just for you! 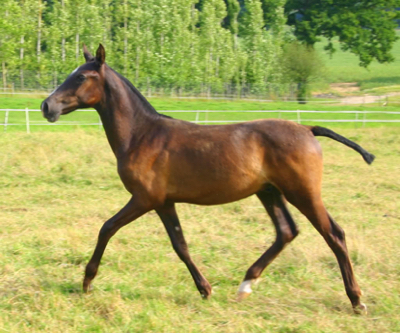 Louise Mauferon Vernet is an Equine Manual Therapist specialising in Osteopathic Techniques. 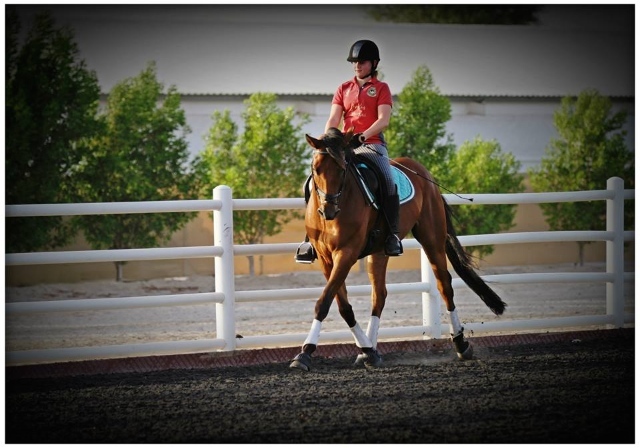 Here she talks about key areas that may create tension in your horse and your test riding. 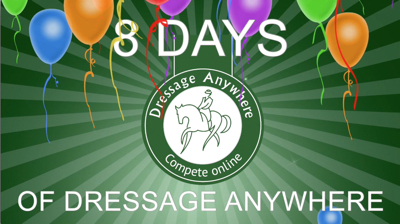 It's the final day of our birthday celebrations - day 8 of the 8 Days of Dressage Anywhere! 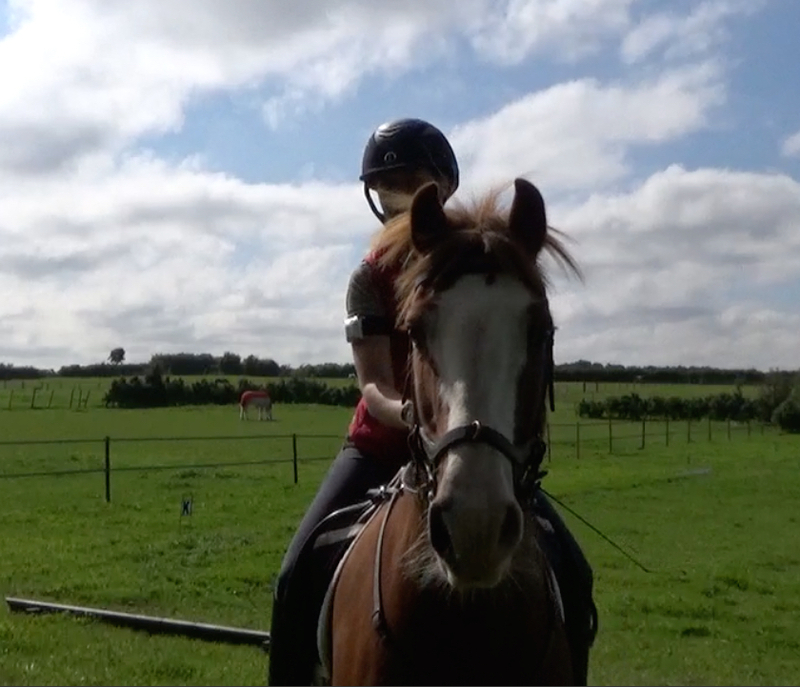 It's day 6 of the 8 Days of Dressage Anywhere! 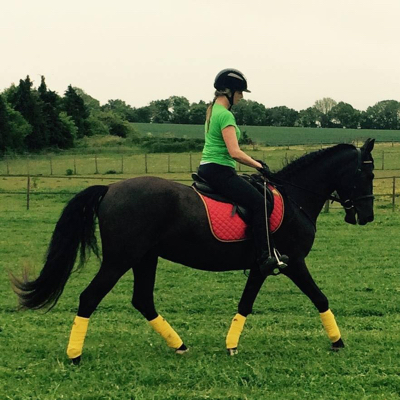 It's day 5 of the 8 Days of Dressage Anywhere! 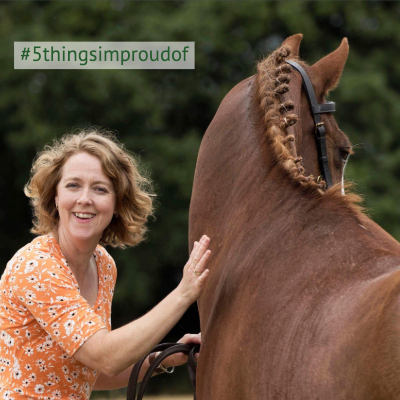 Day 4 of the 8 Days of Dressage Anywhere brings you Bling in The Show Ring! 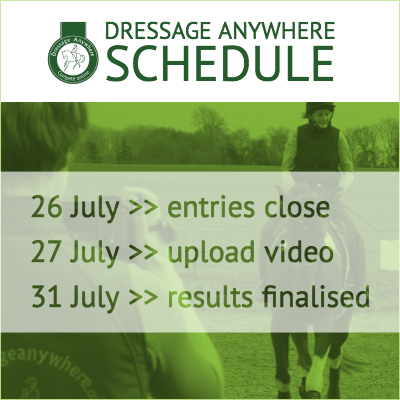 It's day 3 of the 8 Days of Dressage Anywhere! 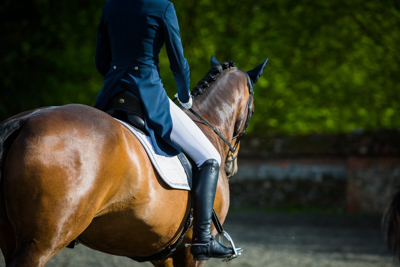 It's day 2 of the 8 Days of Dressage Anywhere! 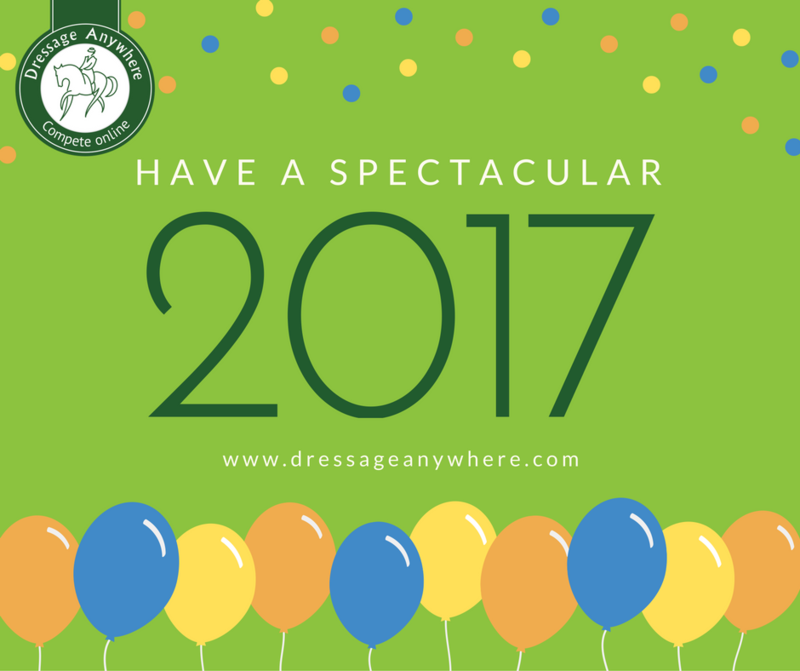 It's day 1 of the 8 Days of Dressage Anywhere, celebrating our birthday one day for each year we've been running online dressage competitions! 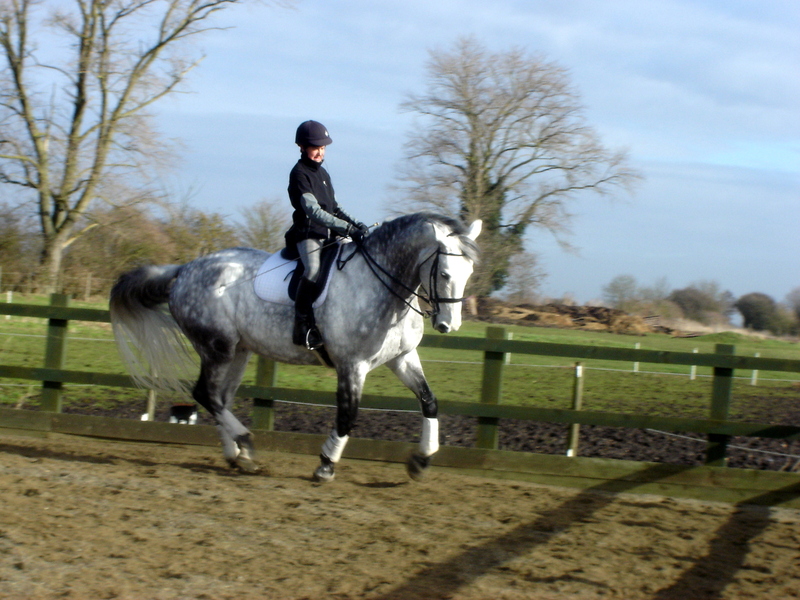 We're delighted to welcome 21st Century Rider as sponsor of this month's Novice class. 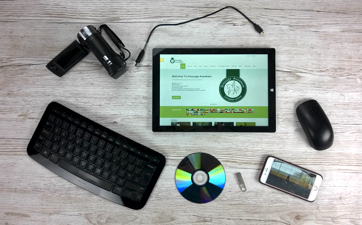 Find out more about the person behind the brand, plus her inspiration and love of technology. 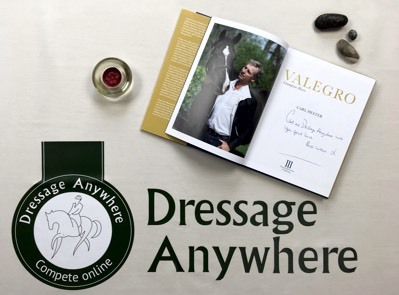 Dressage Anywhere is 8 years old this month! We celebrated our seventh birthday in January 2017 and as we rapidly approach our eighth birthday, here's a review of our year! 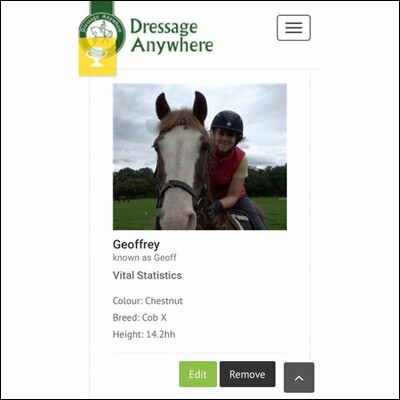 At Dressage Anywhere we've always taken security of your data seriously, we've now taken that one step further. 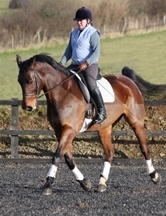 Right Horse Right Home has a selection of dressage horses for sale from all over the UK. 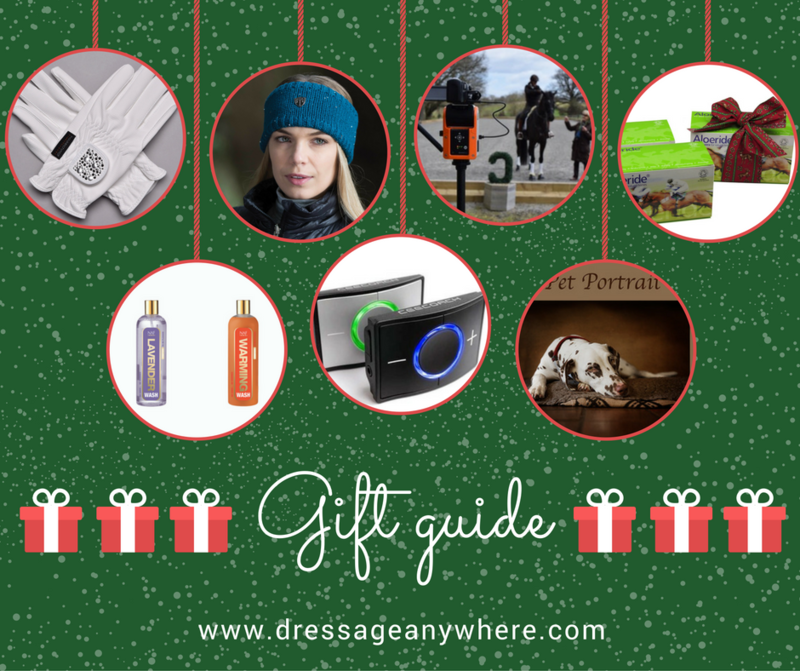 Give the gift of Dressage Anywhere entries! 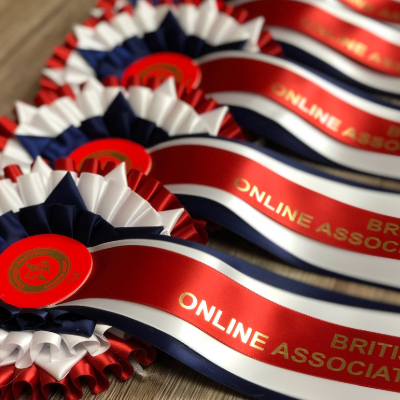 The results are in and we're delighted to announce our 2017 British Dressage Online Champions! 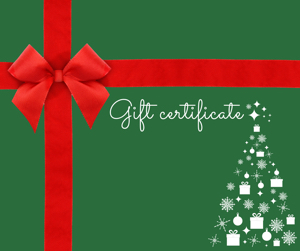 Dig out your tinsel, elf costumes and Santa hats! 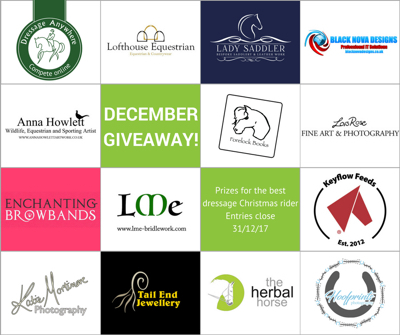 We've teamed up with some fabulous equestrian businesses to offer prizes to the best dressed Christmas riders in December. 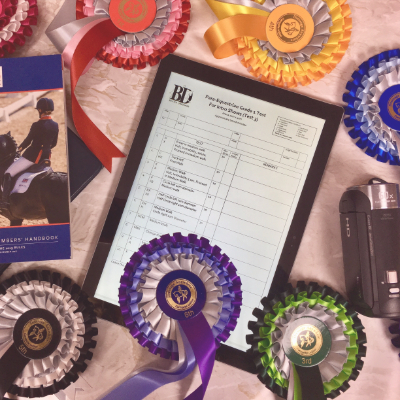 Dressage Anywhere regular, Tinky Morris was the lucky winner of last month's competition to win and review a Leroy and Bongo 2018 Planner. Here's what she had to say. 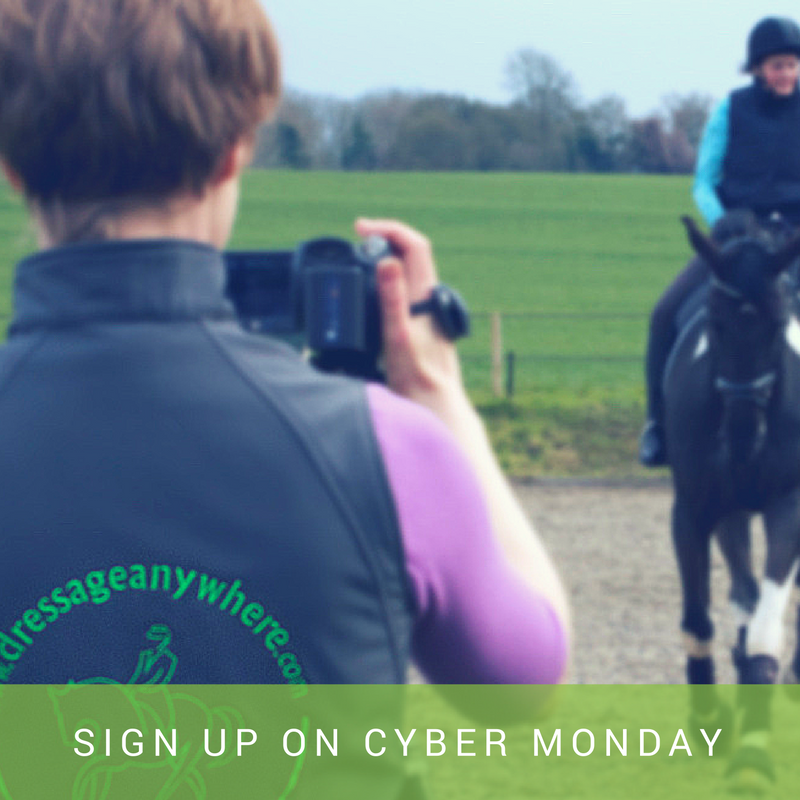 We've got two exciting deals for new and existing Dressage Anywhere members! 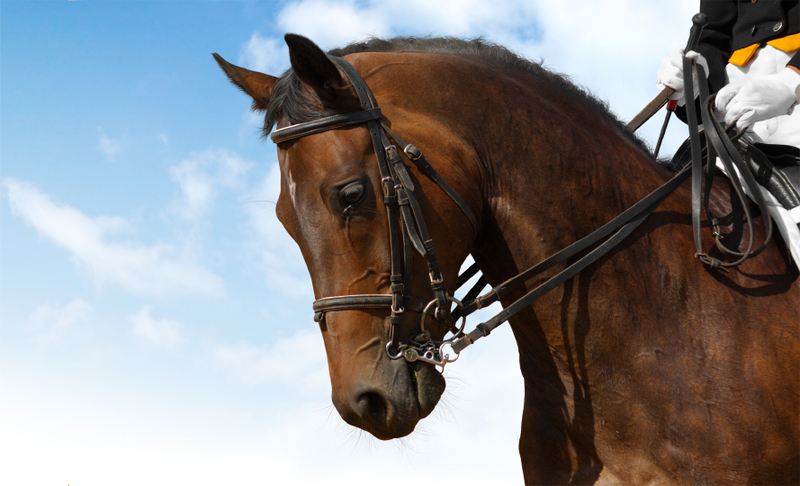 Have you seen Calm Mix from The Herbal Horse, our Medium Championship class sponsor? 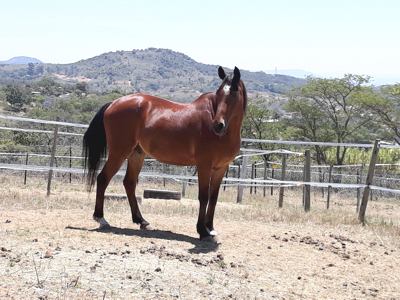 Read about Jet, a horse that became a handful and put his rider in some scary situations. 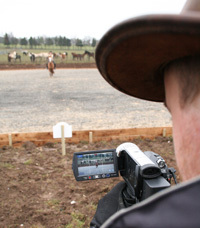 The fifth British Dressage Online Championship Show, hosted by Dressage Anywhere is underway and closes on 30 November. 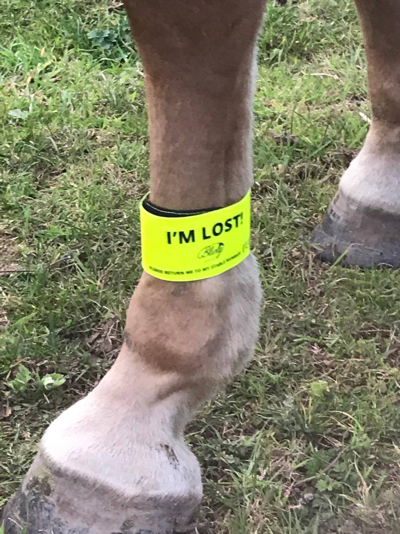 The I'M LOST band is the new ingenious idea of Bling in the Show Ring owner and Dresage Anywhere class sponsor, Jen Atkinson. 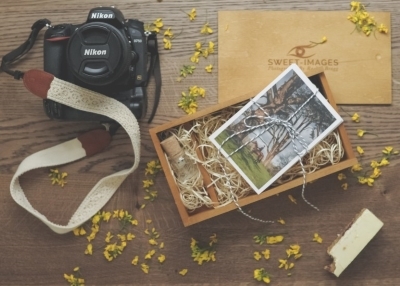 Welcome Laura Fiddaman Photography, our Novice Championship class sponsor! 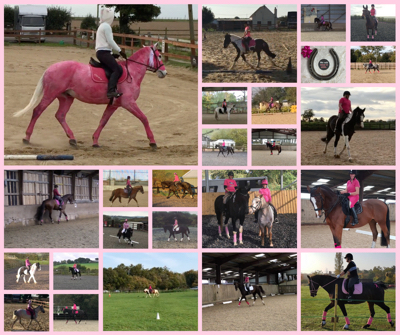 During October we invited you to #wearitpink in your Dressage Anywhere videos and we were bowled over by the number of riders who took part! 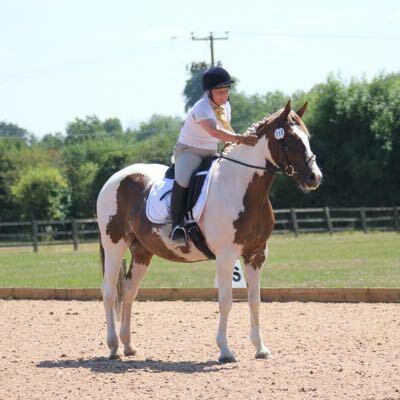 We caught up with Jane from Confident Rider, our Elementary Championship class sponsor to find out more about her membership programme, JoyRide. 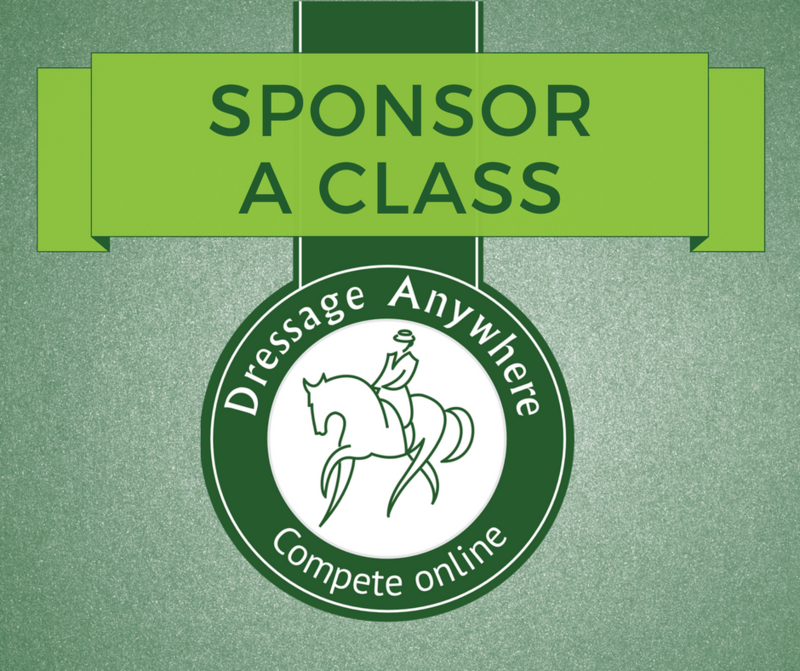 We're chuffed to bits to introduce Q Dressage as November's Preliminary class sponsor! 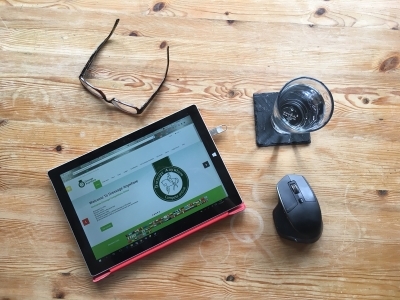 Rebecca from Q Dressage tells us more about the thinking behind this new and exciting online equestrian retailer. 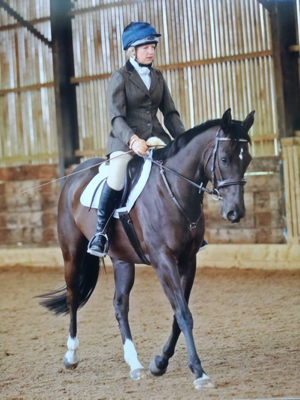 Sam from Lofthouse Equestrian gives us her top tips to help you get competition ready for the dressage ring. The invites have been sent, the schedule is live, the most gorgeous rosettes have arrived! 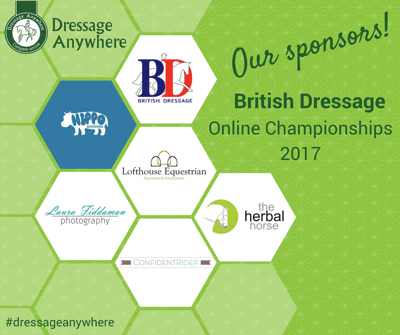 It's time for the British Dressage Online Championship Show 2017! 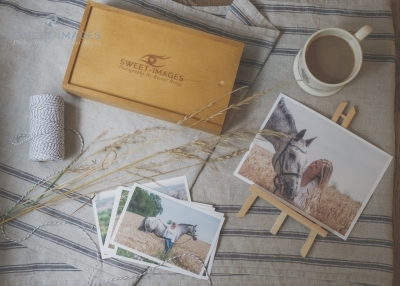 We love how Rachel Bragg of Sweet-Images Photography captures relationships between people and their horses beautifully. 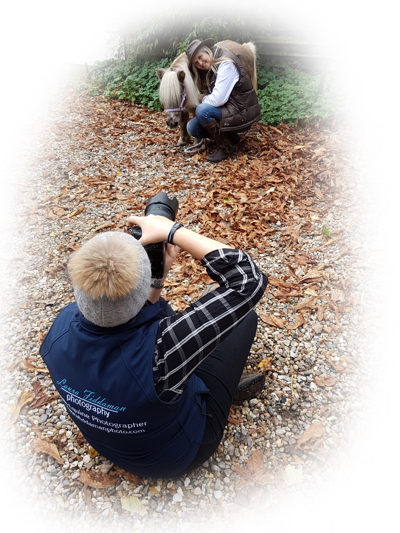 In this blog, she shares the top 7 reasons for having an autumn photo shoot. 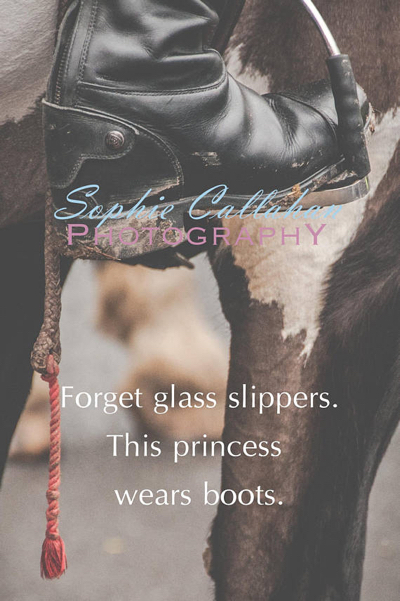 We love how Rachel Bragg of Sweet-Images Photography captures relationships between people and their horses beautifully. 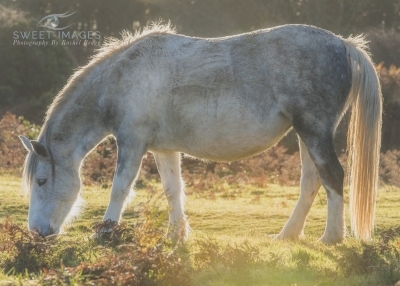 In this blog, she gives us her five top tips about equine portrait shoots. 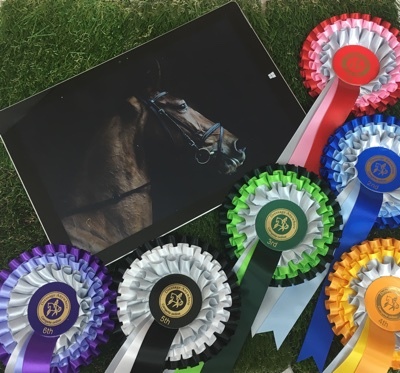 If you use Windows 10 on your computer and install the latest update to Internet Explorer 11, you'll notice a problem with entering Dressage Anywhere competitions. 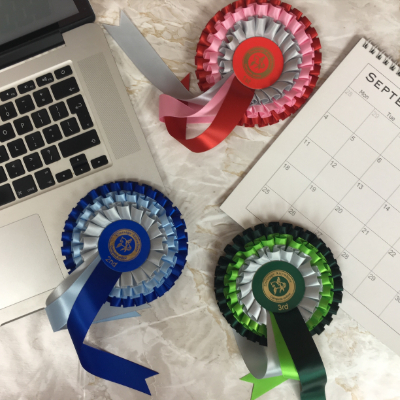 The next time you enter a Dressage Anywhere competition, you'll be asked to input your date of birth. Read below to find out more. 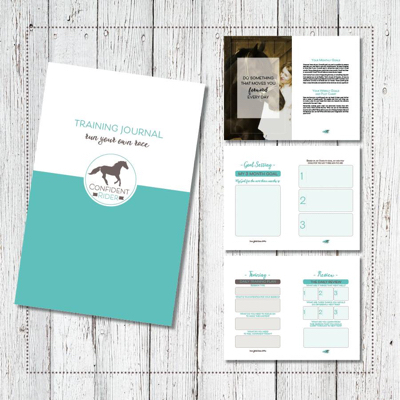 Leroy and Bongo planners encourage riders to set riding and training goals, track their progress and record their results. 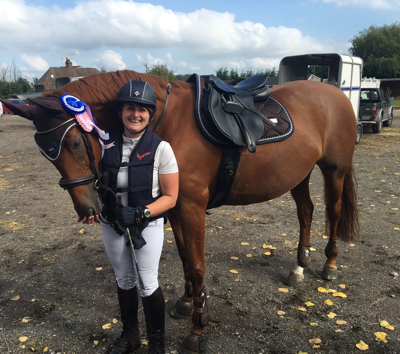 Dressage Anywhere regular, Fiona Burns has been using the Leroy and Bongo Dressage Folder - here's what she thought about it. 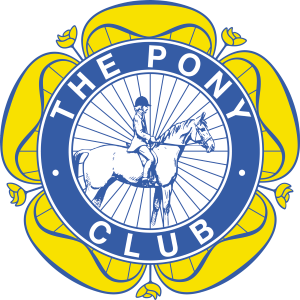 Pony Club groups and centres across the country have been taking part in monthly classes to qualify for The Pony Club Online Dressage Championship Show 2017. 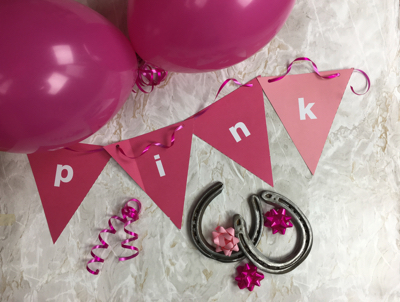 In support of Breast Cancer Awareness month we're inviting October competitors to #wearitpink! 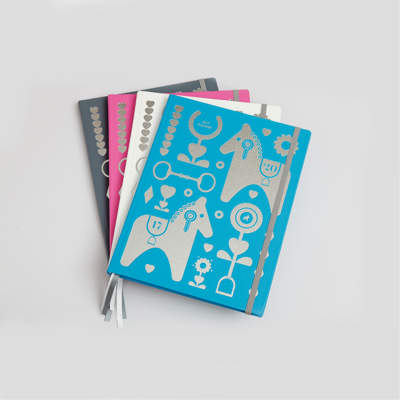 How do you stay organised and on top of everything? We've included our top tips below. In the next part of our series, Born to Shine on the Centre Line, we meet Monica Kinnunen from Helsinki in Finland who has been competing with us since 2016. 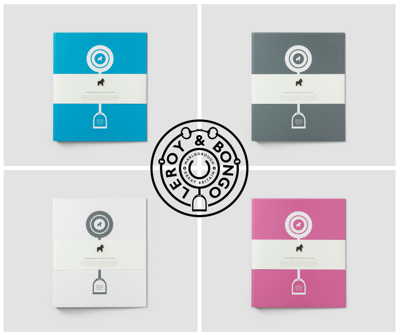 We're so excited to welcome Leroy and Bongo as a new class sponsor! 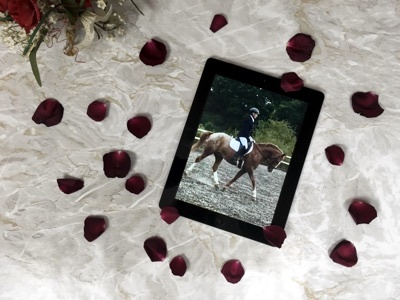 In this third and final instalment, Dressage Anywhere regular Marianne tells us about the heartache of losing Enif and how fate brought her and Heidi together. Catch-up on Part One and Part Two. 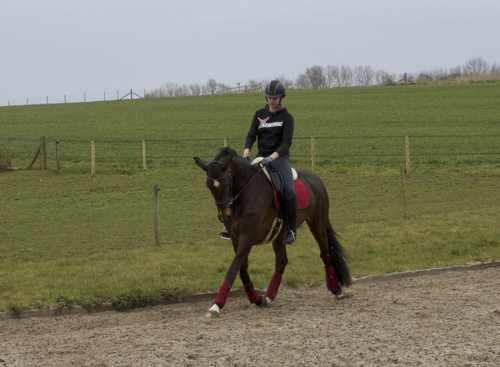 In part two of her blog Dressage Anywhere regular, Marianne shares more ups and downs, getting started with Dressage Anywhere and making a heart-breaking decision. You can catch-up on Part One here. 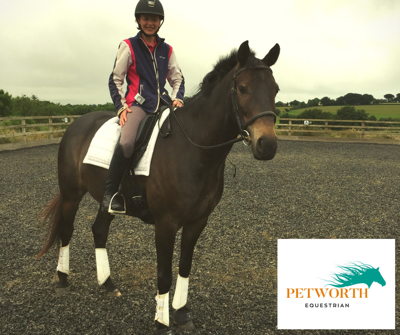 We're delighted to welcome EvoEquine as September's Introductory class sponsor! 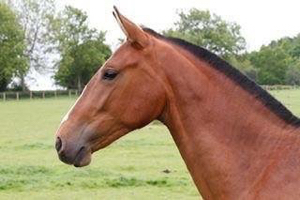 EvoEquine has been designing and developing evolutionary equine products since January 2016 and we love them! 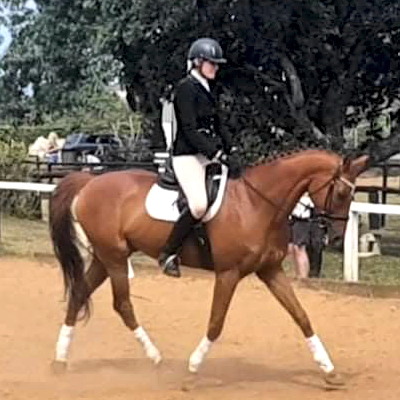 In this three part blog, regular Dressage Anywhere competitor, Marianne shares some of the highs and lows of owning youngsters and getting them competition ready. 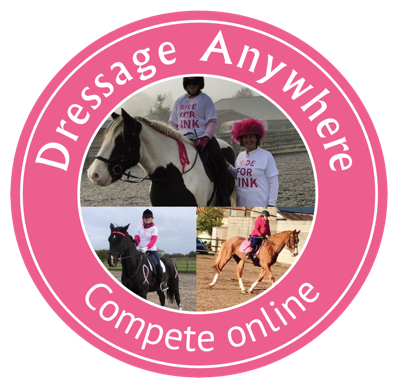 Have you seen our new Facebook Group for Dressage Anywhere members? 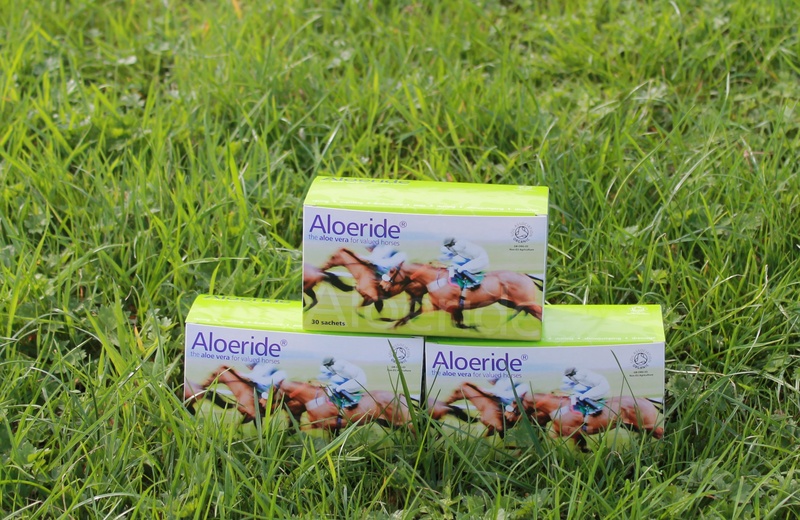 Win a copy of Valegro Champion Horse, signed by Carl Hester! 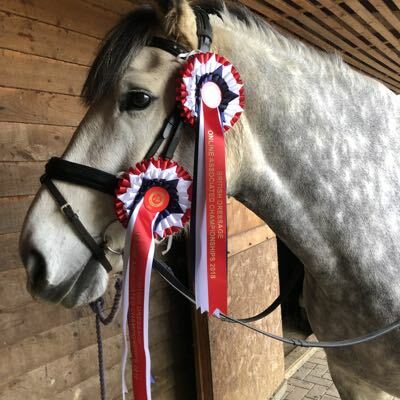 In the next part of our series, Born to Shine on the Centre Line, we meet Faris Ansari, aged 9 and from Dubai who competed with us for the first time this April in our Intro Juniors class. 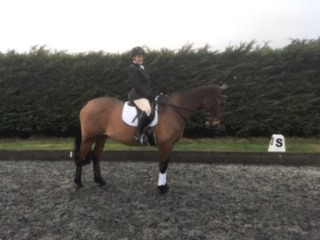 Huge congratulations to Dressage Anywhere member, Tracy Fall on qualifying for the National Championships! 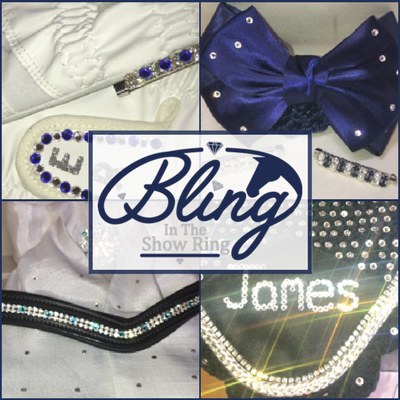 Welcome Bling in the Show Ring, our August Introductory class sponsor! 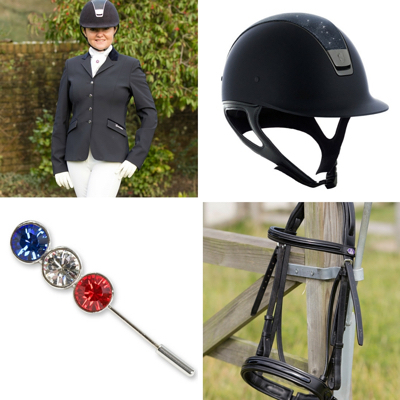 Our first to third placed riders will each receive a voucher to use at Bling in the Show Ring. 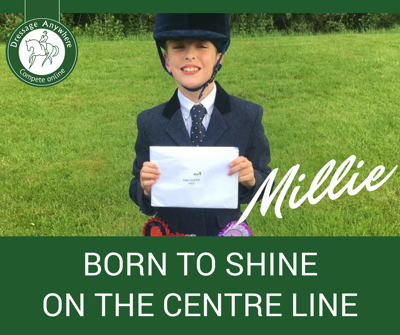 In the next part of our series, Born to Shine on the Centre Line, we meet Anna Cooper from Cumbria who has been competing with us since January this year. 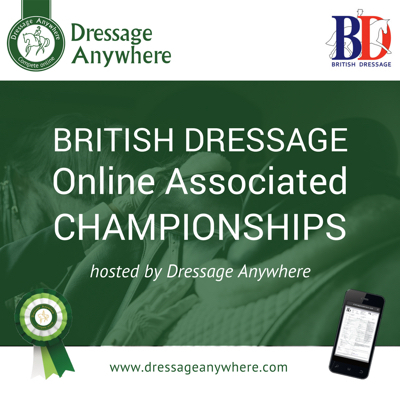 Qualify for the British Dressage Online Championships, hosted by Dressage Anywhere! We're slightly later than normal in announcing this, but IT's BACK for 2017! 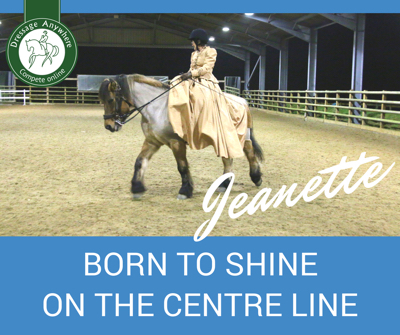 In the next part of our series, Born to Shine on the Centre Line, we meet Jeanette Dixon from Knustford in Cheshire. 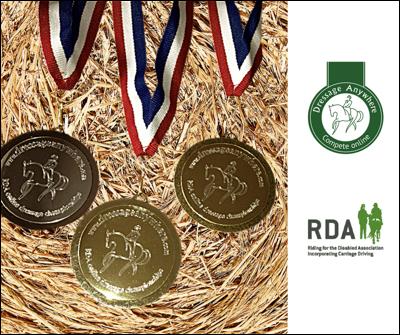 We'll shortly be heading to the RDA National Championships 2017 at Hartpury to award gold, silver and bronze medals to our RDA Online Dressage Champions! 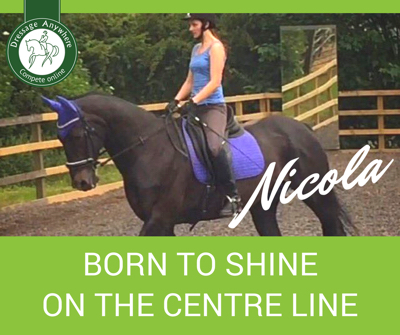 In the next part of our series, Born to Shine on the Centre Line, we meet Nicola Cranham from Derbyshire. I've been riding for 18 years. 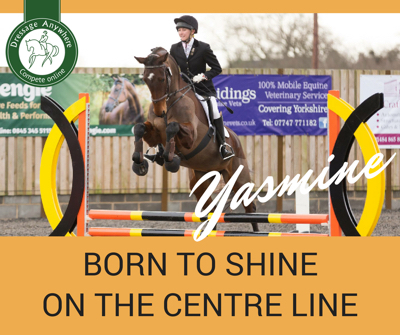 In the next part of our series, Born to Shine on the Centre Line, we meet Yasmine Chaffer from Sheffield. I've been riding for 11 years. 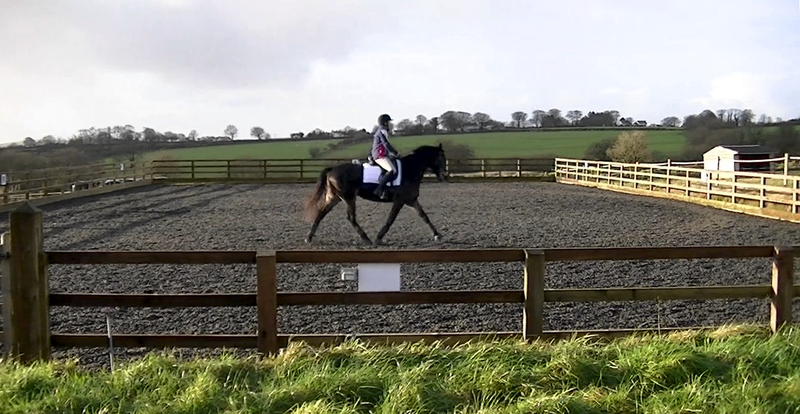 In this first part of our new series, Born to Shine on the Centre Line featuring Dressage Anywhere riders, we meet Millie from Stirling in Scotland. 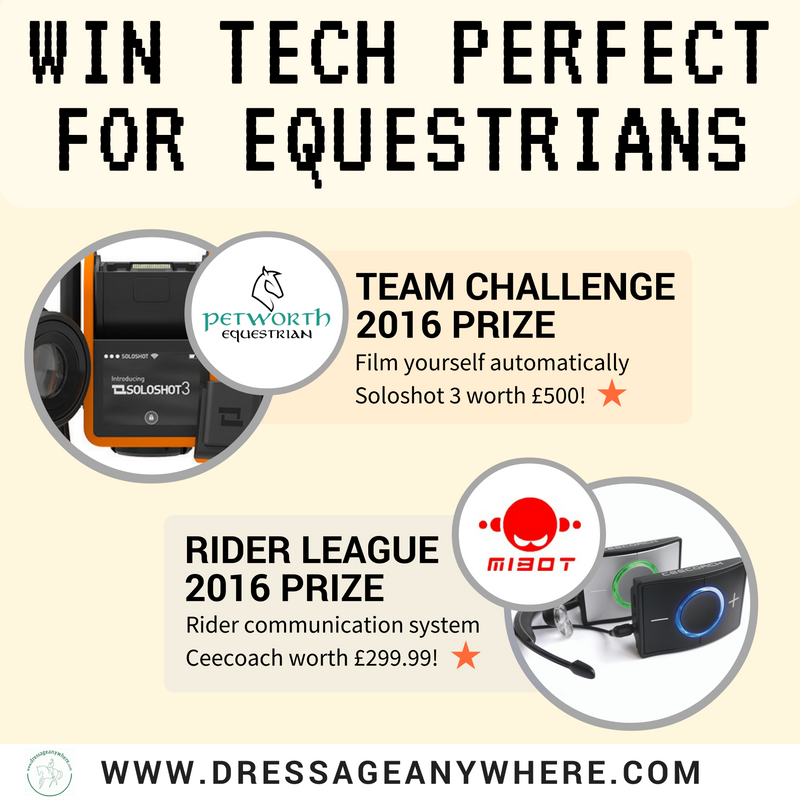 Qualify for the Wendover Heights Equine CT Rider Summer Dressage Championships 2017 with Dressage Anywhere! The live Championships will be held during November, venue to be confirmed. 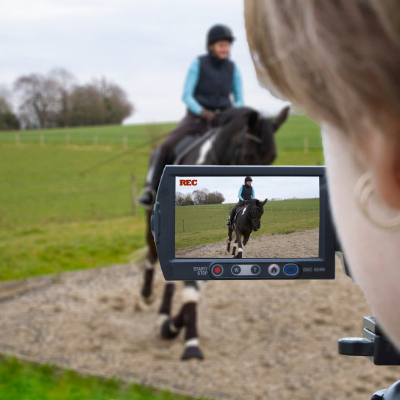 Whether you're trying out a new level or need some feedback on a test you're about to ride at a live competition, our Training Classes can help. 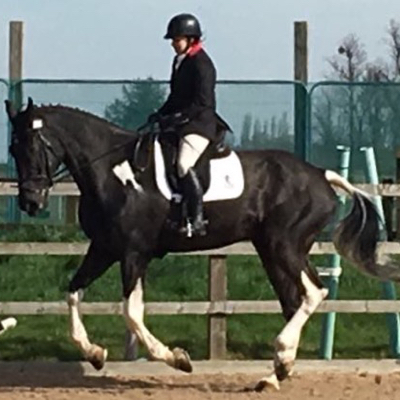 April is the last month you can qualify for the Wendover Heights Equine CT Rider Winter Dressage Championships 2017 with Dressage Anywhere. 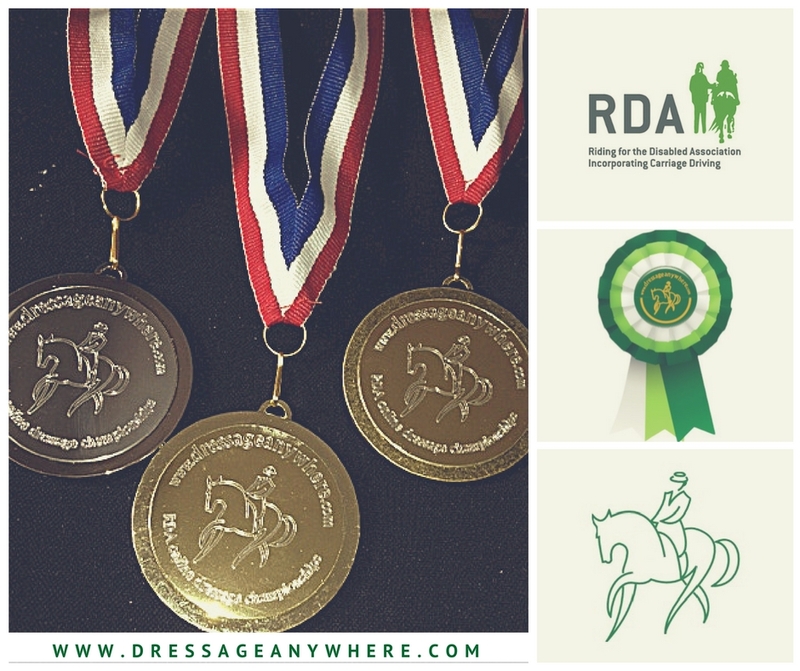 Entries to the 4th RDA Online Dressage Championships are open! 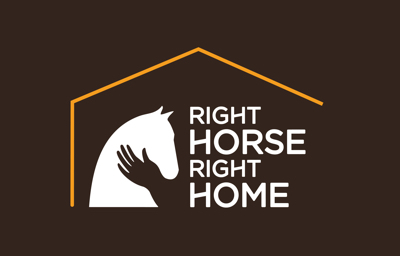 Welcome Just Equine Ltd, our April Prelim class sponsor! 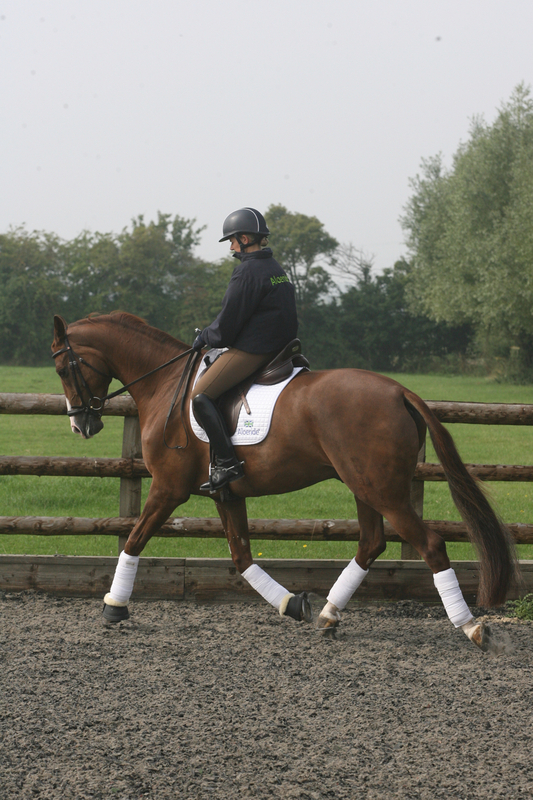 Ever wondered how Dressage Anywhere's training tests can help you to set and achieve your goals? 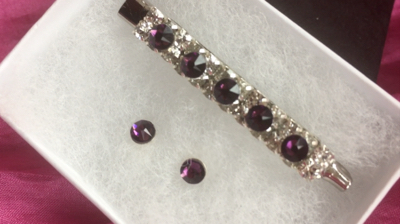 Ruth from our team put it to the test! 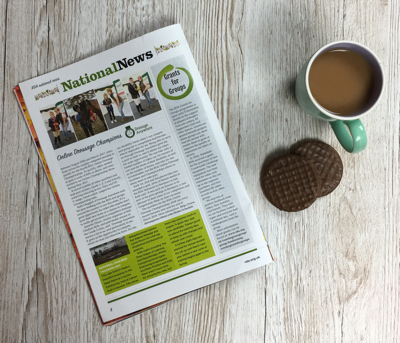 We love working with other organisations so when an invite to be a guest speaker at the very first ever RDA Dressage Conference landed in our mailbox we jumped at the chance! 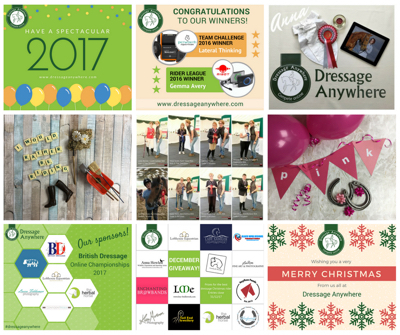 If you have an equestrian business that you would like to promote, we would love to talk to you about what Dressage Anywhere can offer. 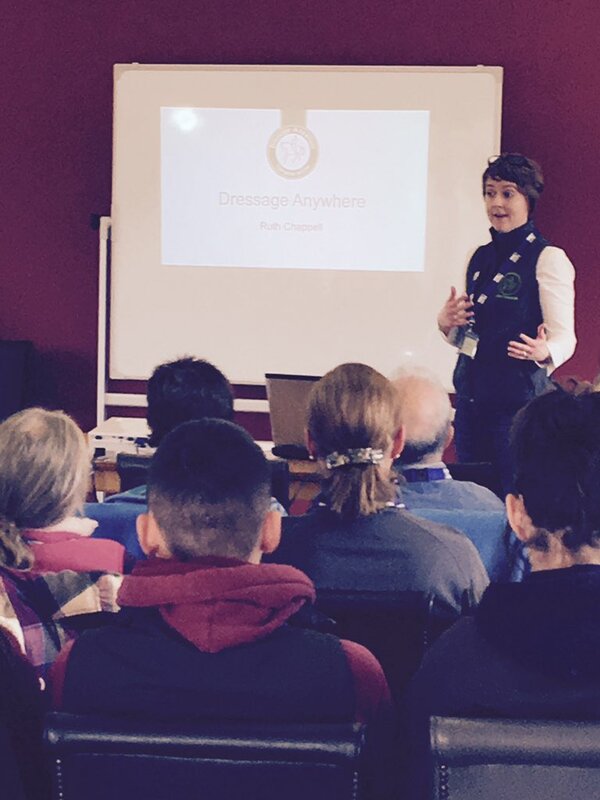 We're delighted to announce that HorseHour is supporting Dressage Anywhere's Introductory class during March! 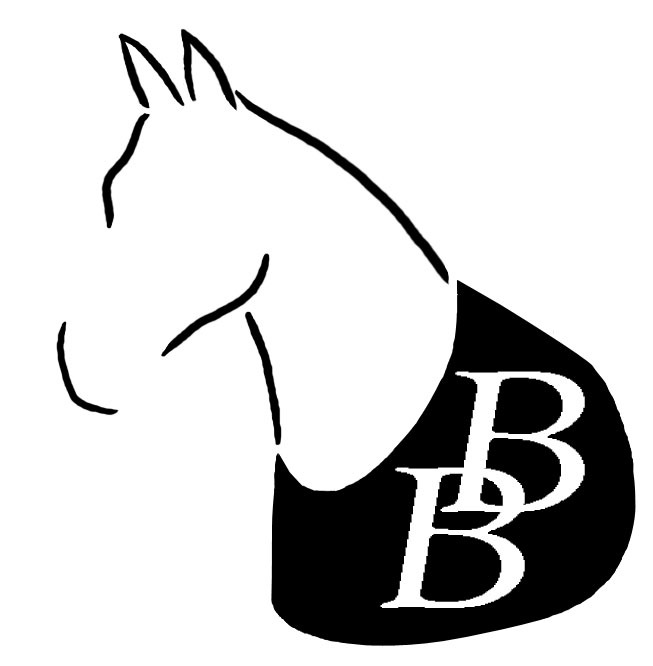 Berkshire Riding Centre (BRC) is a BHS approved riding school and livery yard, a BHS Where to Train centre and Pony Club centre, directed by myself Rosie Lord. 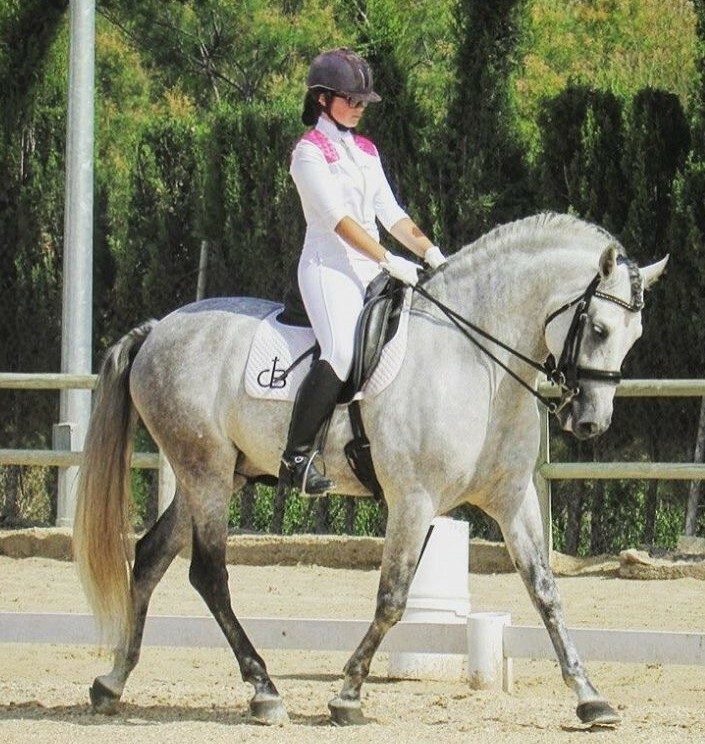 Dressage is a highly skilled form of riding and as a discipline is one of those sports where a spectacular routine from horse and rider is required. Our video streaming and hosting service provider will be undergoing system maintenance on Sunday 26 February between 13.00-17.00. During this time uploading videos will be temporarily unavailable. 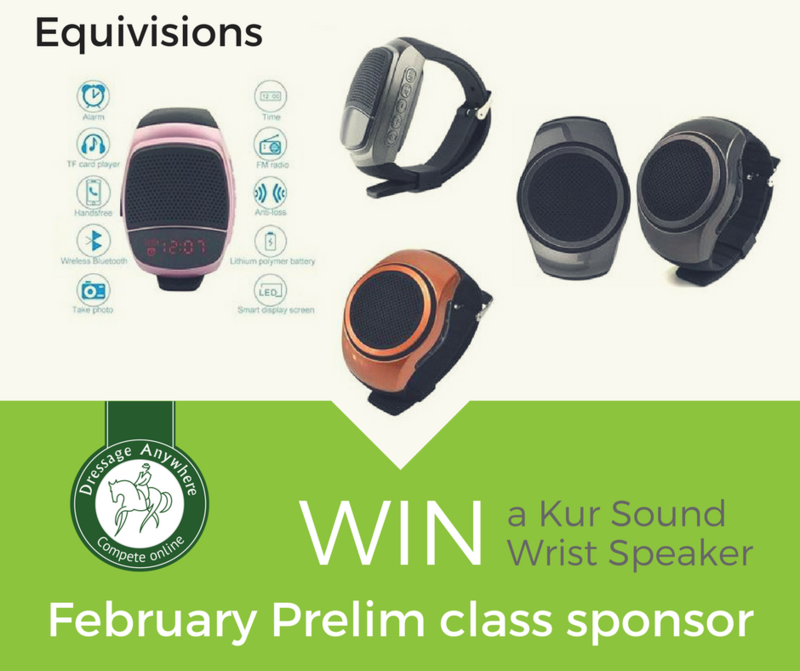 We're delighted to welcome Equivisions as sponsor of our February Prelim class! 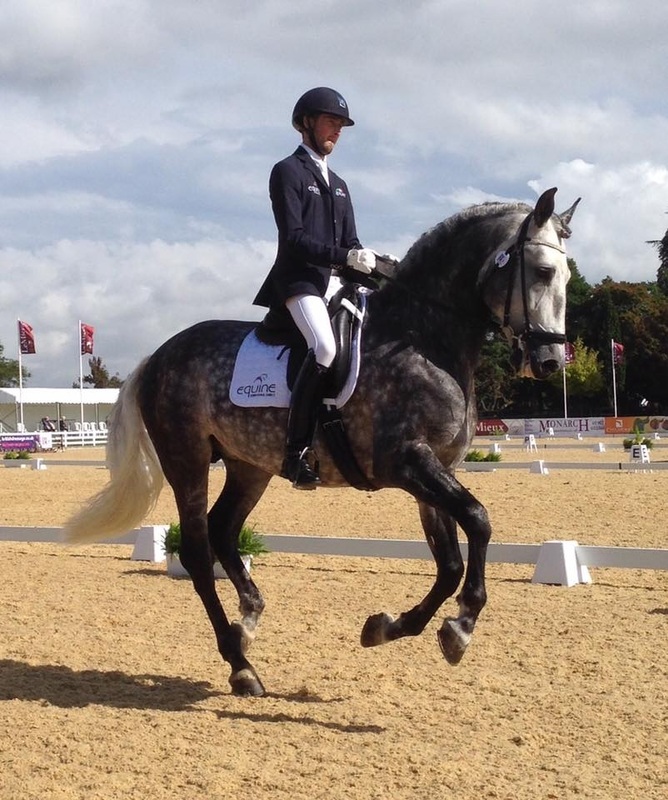 All of the British Dressage tests in our system have been updated with the 2016 revisions. 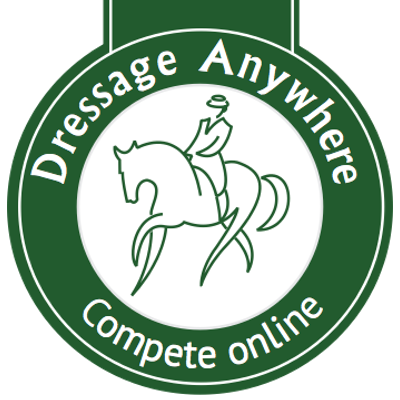 Qualify for the Wendover Heights Equine CT Rider Winter Dressage Championships 2017 with Dressage Anywhere! The live Championships will be held at Bury Farm EV on 21 May 2017. 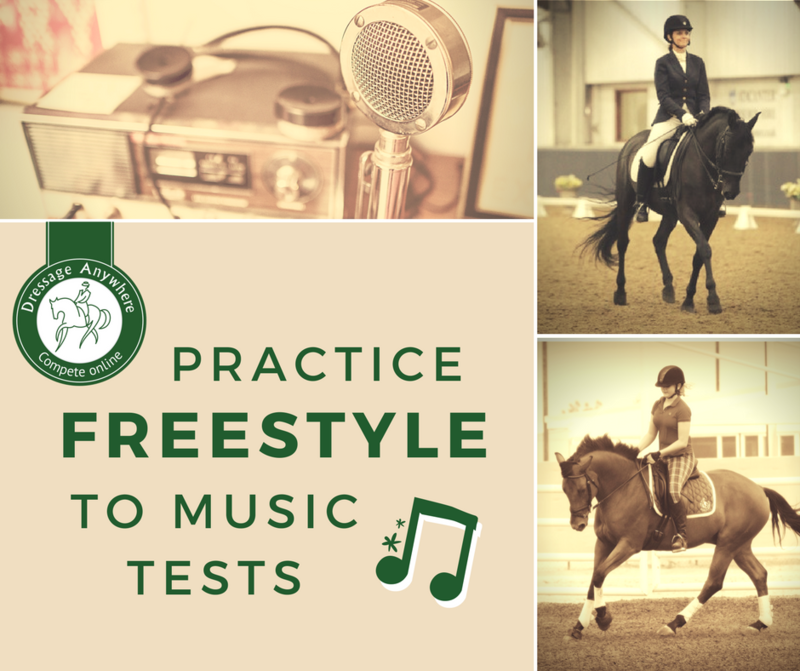 Did you know you can practice your freestyle to music test any time with Dressage Anywhere? 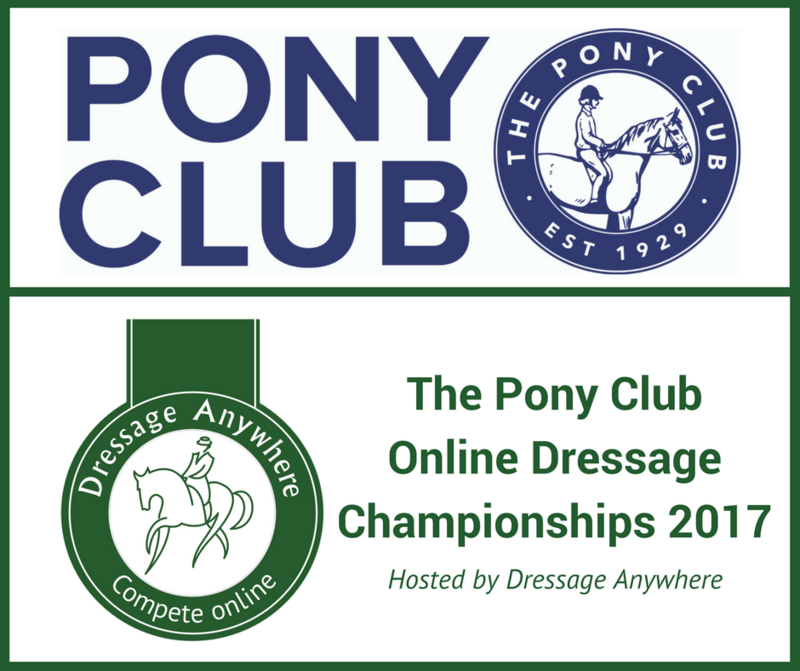 Monthly qualifiers for The Pony Club Online Dressage Qualifiers 2017 are open! 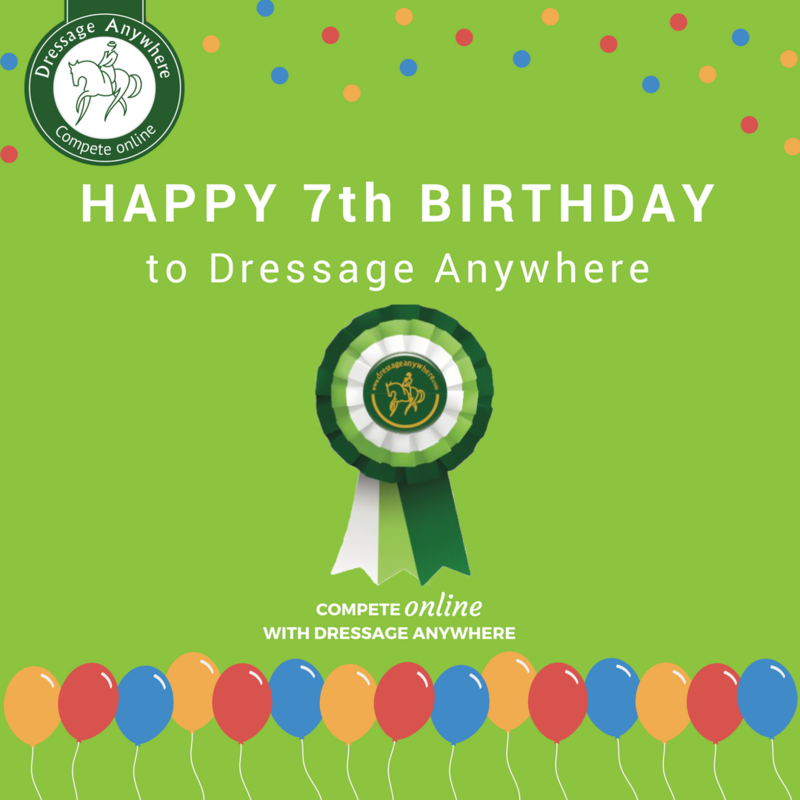 Happy birthday to Dressage Anywhere - 7 years old this month! 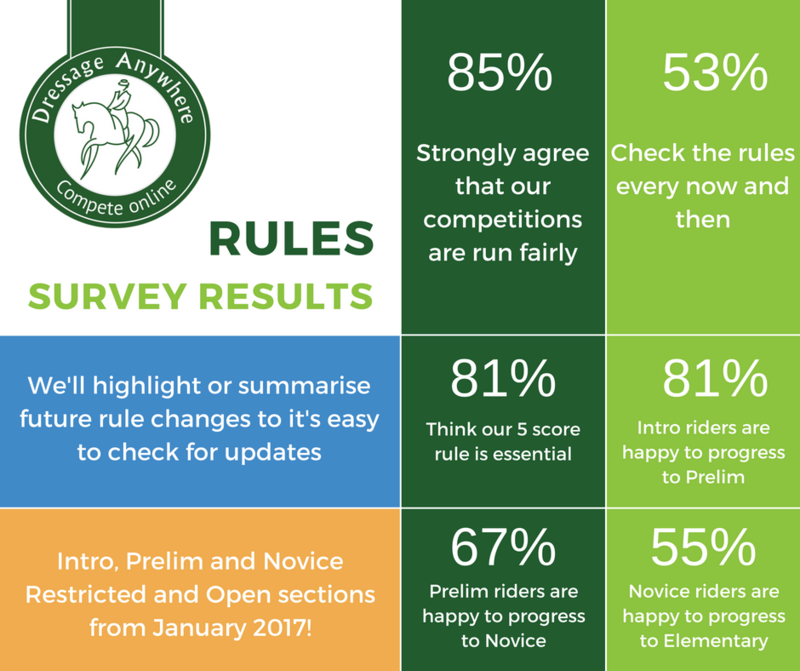 We listened to your feedback about fairness of our competitions and have introduced restricted and open sections to Introductory, Preliminary and Novice competition classes from January 2017. We've made some tweaks to our rules and highlighted them in yellow on the rules page so they're easy to find. 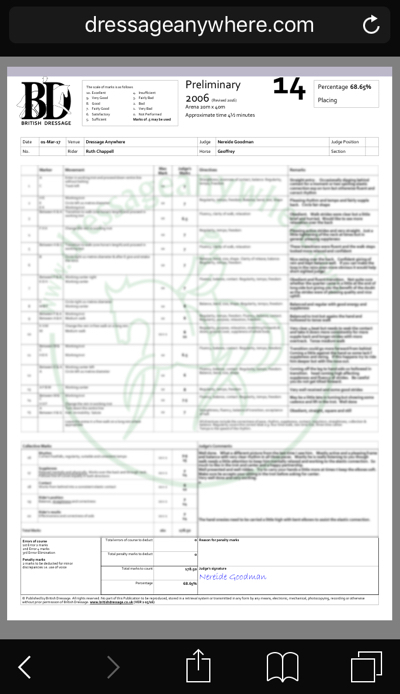 A new Summary section highlights the top Dressage Anywhere rules. Happy New Year to all of our members, competitors, judges and sponsors. 2017 is going to be epic! What are the BYRDS tests for under 25s? Find out more here. 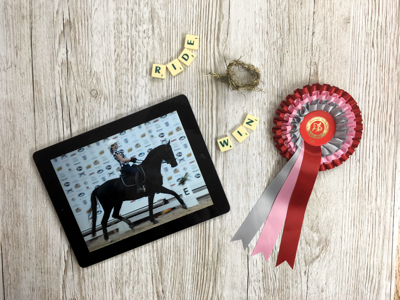 The Dressage Deluxe British Dressage Online Championships 2016 have drawn to a close and rosettes and prizes have been winging their way to our prize winners! 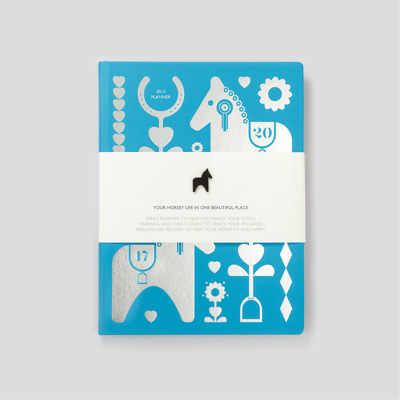 Looking for the perfect gift for a fellow equestrian or stuck for ideas for your own Christmas list? 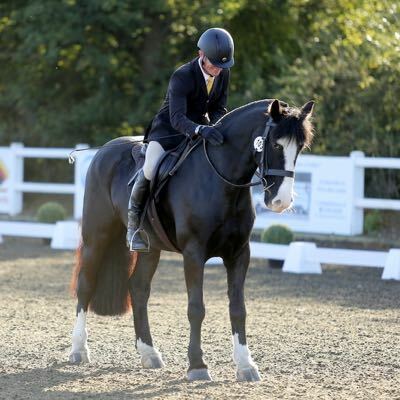 Dressage Anywhere is so excited to have received an invitation to host the Wobbleberries Dressage Challenge (In Aid of Willberry Wonder Pony Charity)! 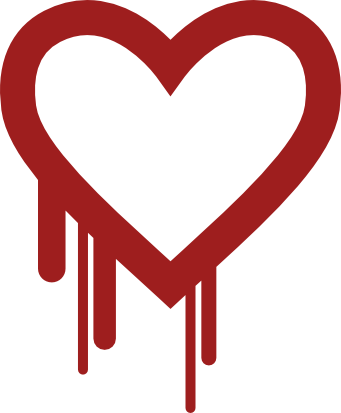 We've updated our logo and are delighted to unveil our new look! 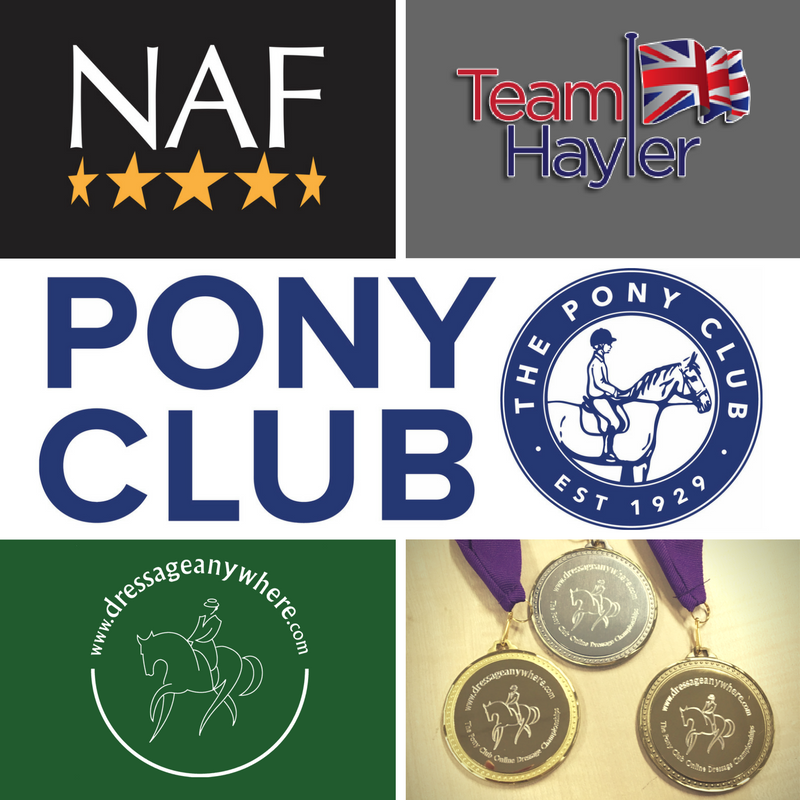 The champions of the third Pony Club Online Dressage Championships have been announced! 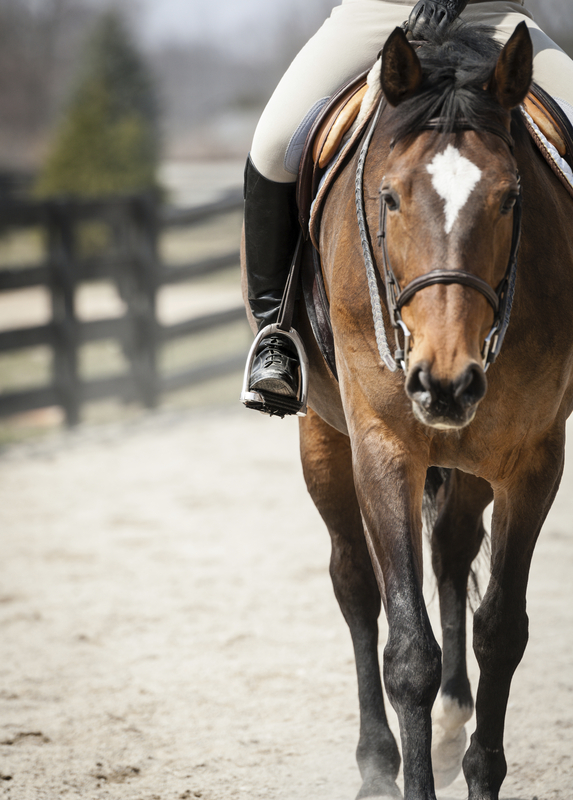 Whether it's your first time riding a dressage test or if you just need a quick reminder, here's a quick guide to understanding the Dressage Anywhere competition class rules. 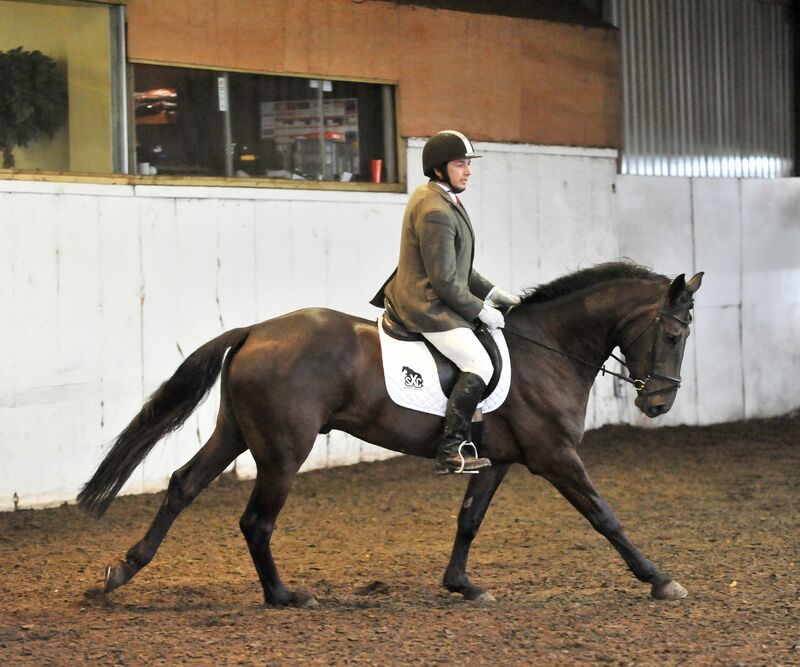 Practice your British Riding Clubs Intermediate Winter Dressage Qualifier test. 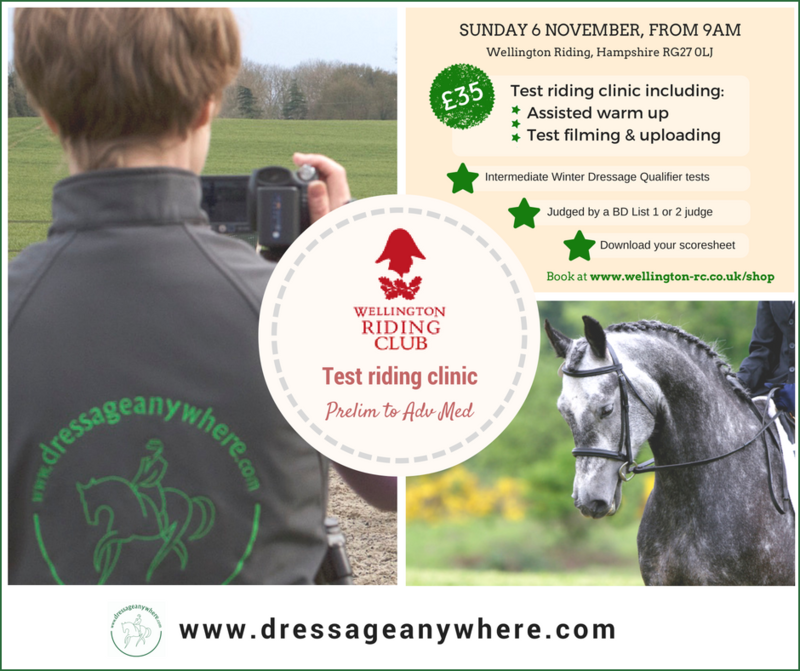 We're very excited to work with Wellington Riding Club to bring you a REALLY special clinic on Sunday 6 November. 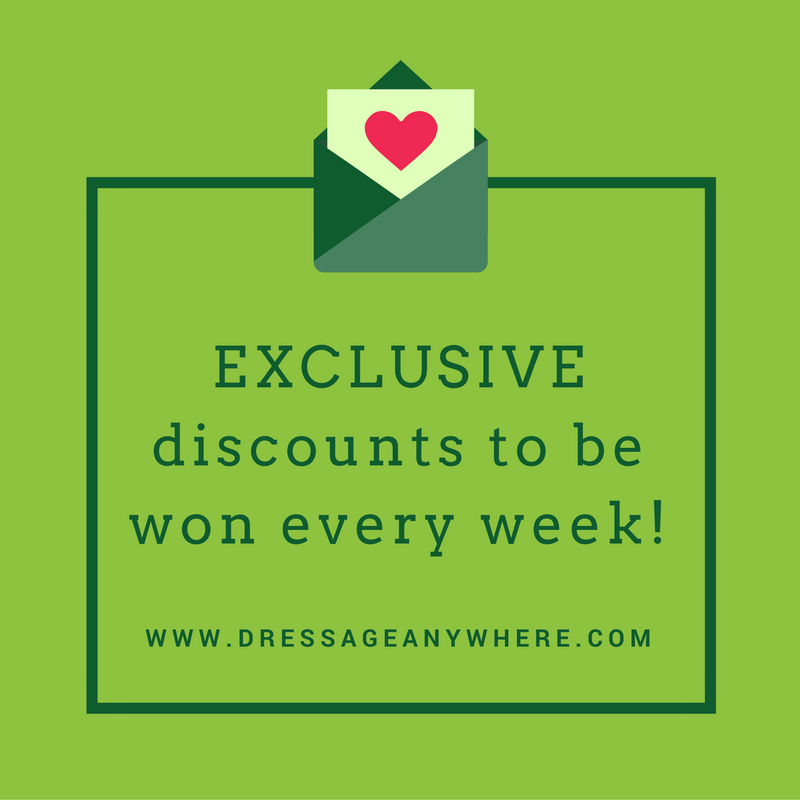 We at Dressage Anywhere love new things and that's why we've come up with an exclusive discount just for you every month! 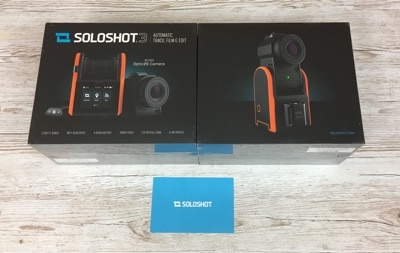 Get your hands on a Soloshot 3 or Ceecoach communication system! It's back and it's pinker than ever! 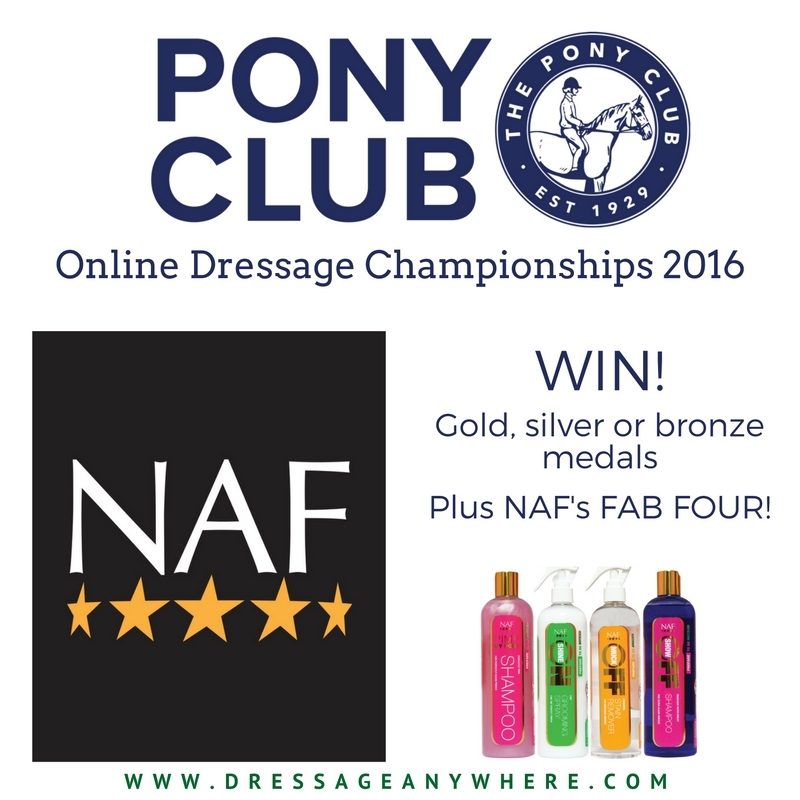 We're really excited to announce ANOTHER prize for The Pony Club Online Dressage Championships 2016! 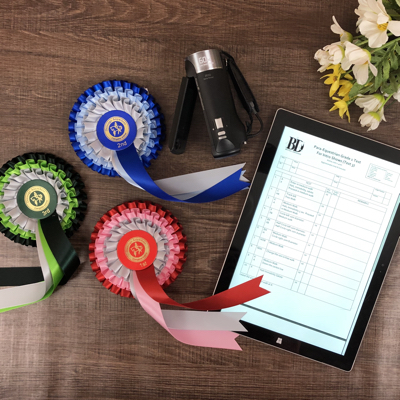 We at Dressage Anywhere pride ourselves on helping riders progress in dressage by providing opportunities to compete online and get feedback from BD List 1, 2 and FEI judges. It's here! 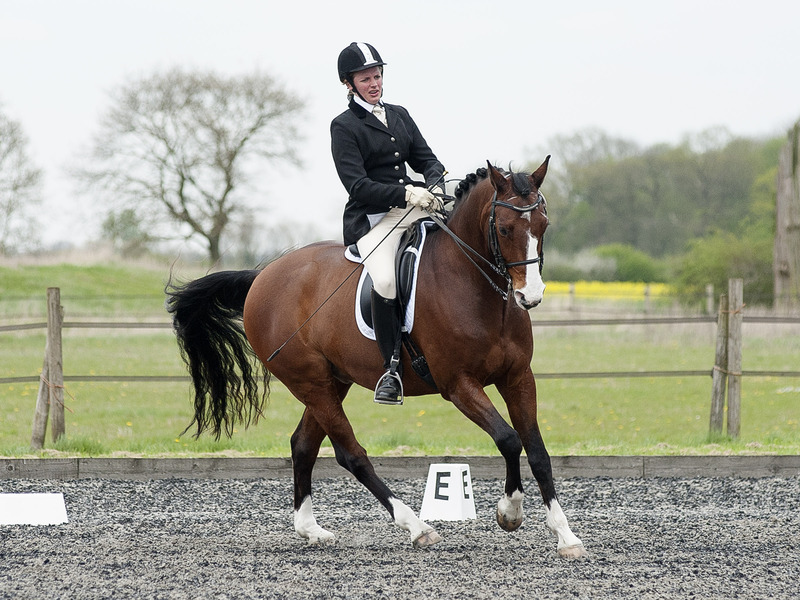 The monthly qualifiers for the Riding for the Disabled Online Dressage Championships 2017 have launched! 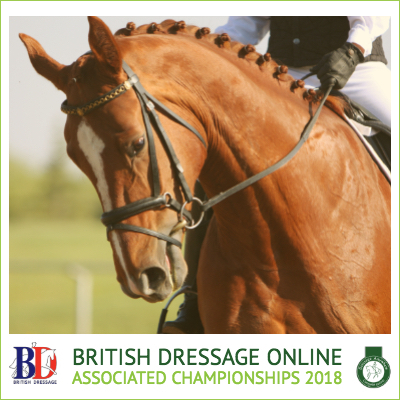 September is the last month to qualify for the Dressage Deluxe British Dressage Online Championship Show! 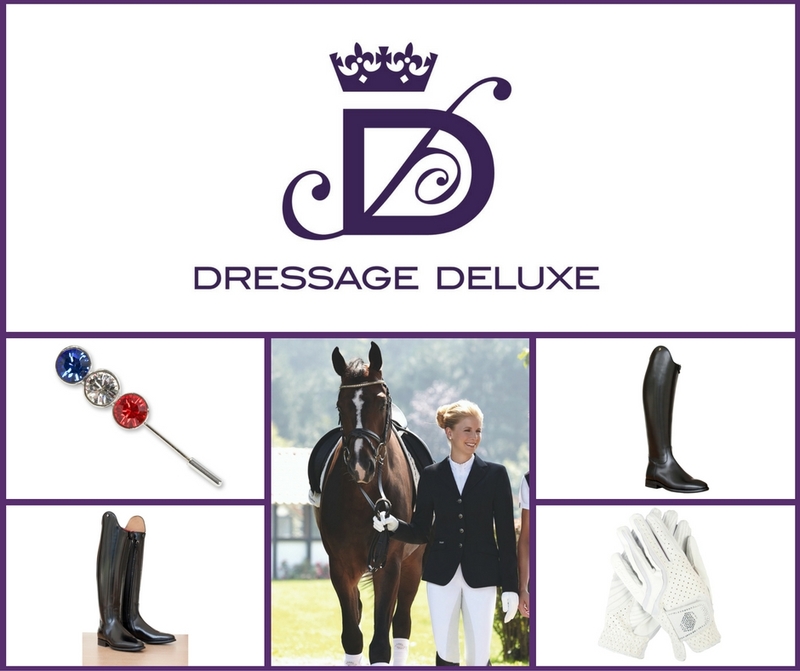 MD of premium online retailer Dressage Deluxe and the brand's very own personal shopper Alison Nye-Warden gives her top tips for keeping your cool and looking stylish as temperatures rise! Back in February we wrote about Ruth's 2016 goal to qualify for the Summer Regional Championships. Well she did it and here's her show report! 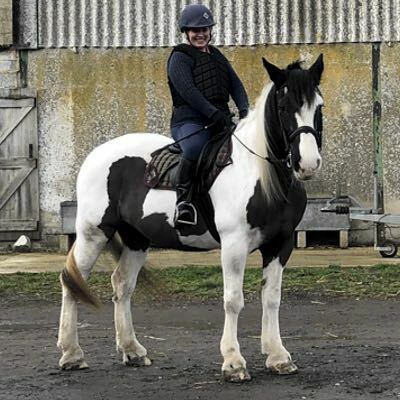 This week we were thrilled to meet Jill and David from KICS Riding School based in Khartoum, Sudan whilst enjoying a well deserved break in the UK. 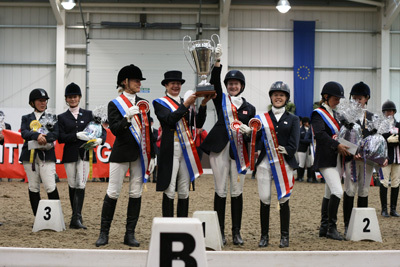 From July young riders can have a go at British Young Riders Dressage (BYRDS) tests with Dressage Anywhere! We caught up with one of our 2015 BD Online Champions, Rich Neale to find out what he's been up to since last year. 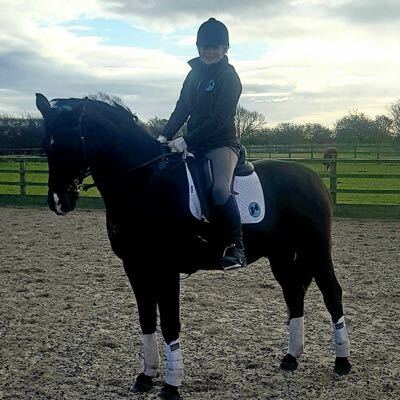 Dressage Anywhere regular Lee Smith got in touch to tell us all about Jolie, life in Shetland and how Dressage Anywhere has helped her compete. 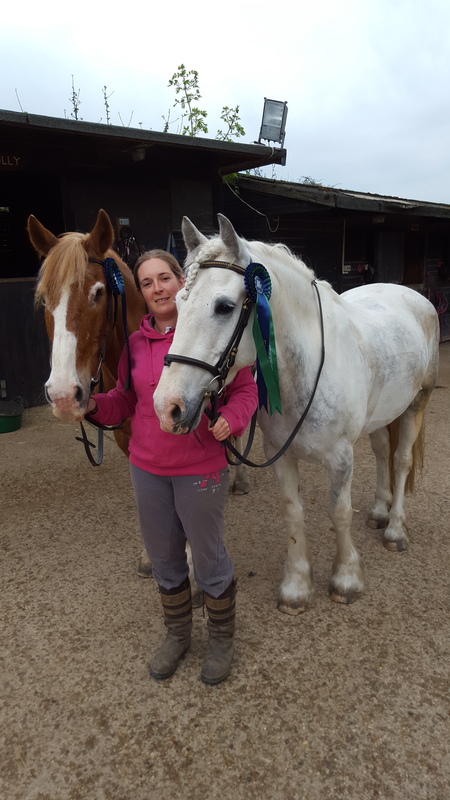 We caught up with one of our 2015 BD Online Champions, Nicola Machin to find out what she's been up to with her horses since last year. 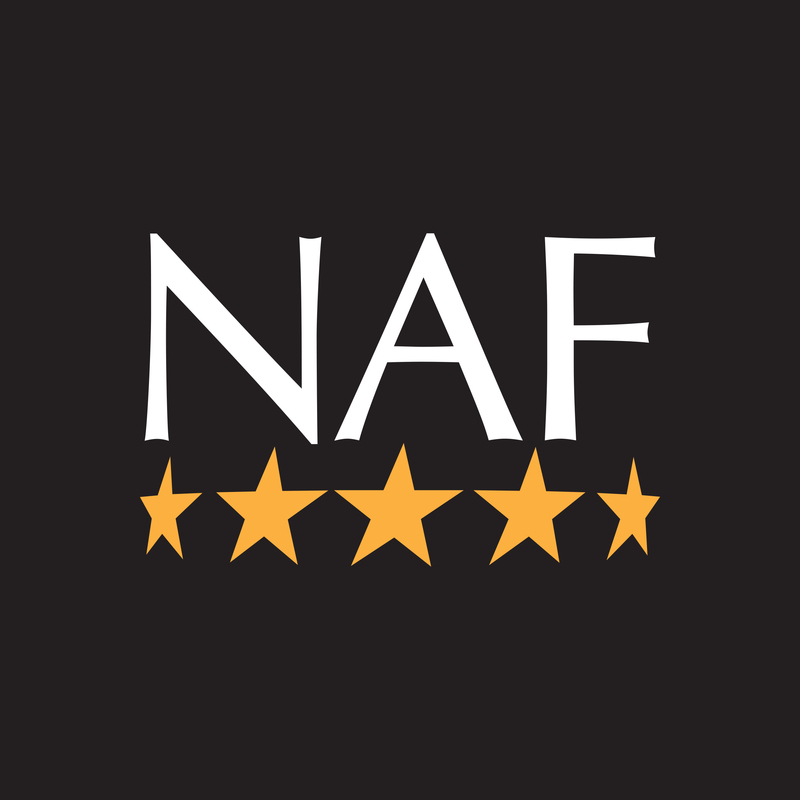 NAF are The Pony Club Online Dressage Championships 2016 title sponsor and you could win a set of NAF's FAB FOUR products to make your pony shine! 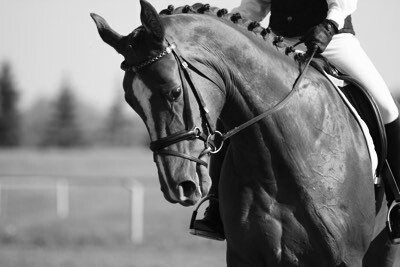 Calling all Medium, Advanced Medium and PSG riders! 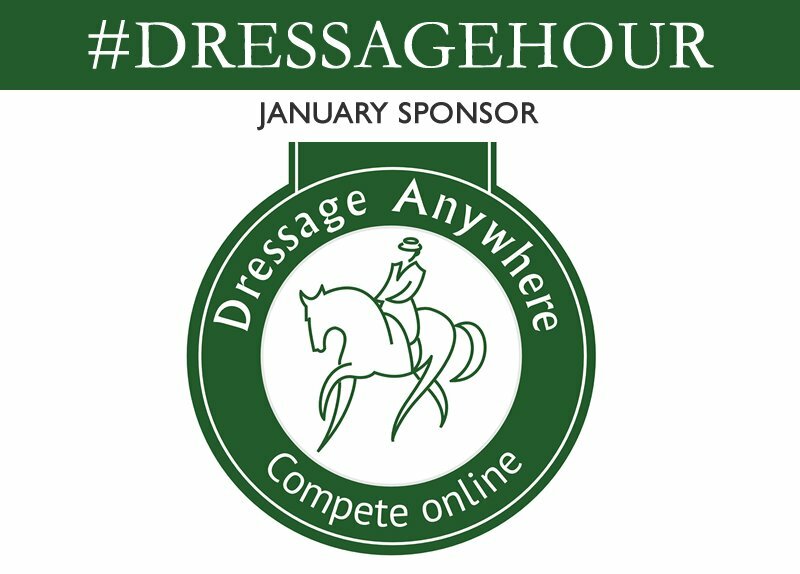 Qualifying classes for the 2016 BD Online Championships open in May and we're delighted to announce that premium retailer Dressage Deluxe is this year's title sponsor! 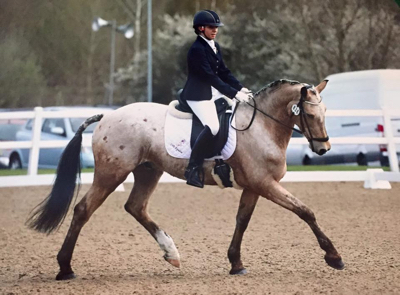 This week we talk to Dressage Anywhere regular, Gemma Avery about her 2016 goals. 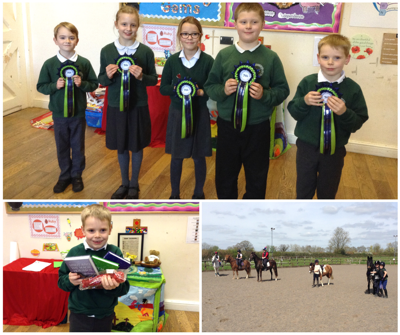 We love seeing photos of you all with your rosettes. 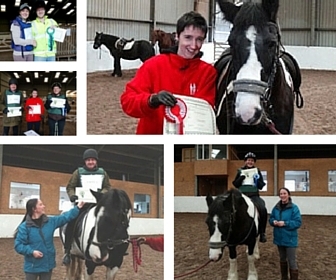 RDA Machars based in Dumfries & Galloway sent us these great shots of Adam, Callum, Taryn and Lis. Last week we went on an exciting road trip to Derbyshire to present the MIBOT remote camera system to Jo Tullett, our 2015 Rider League winner. 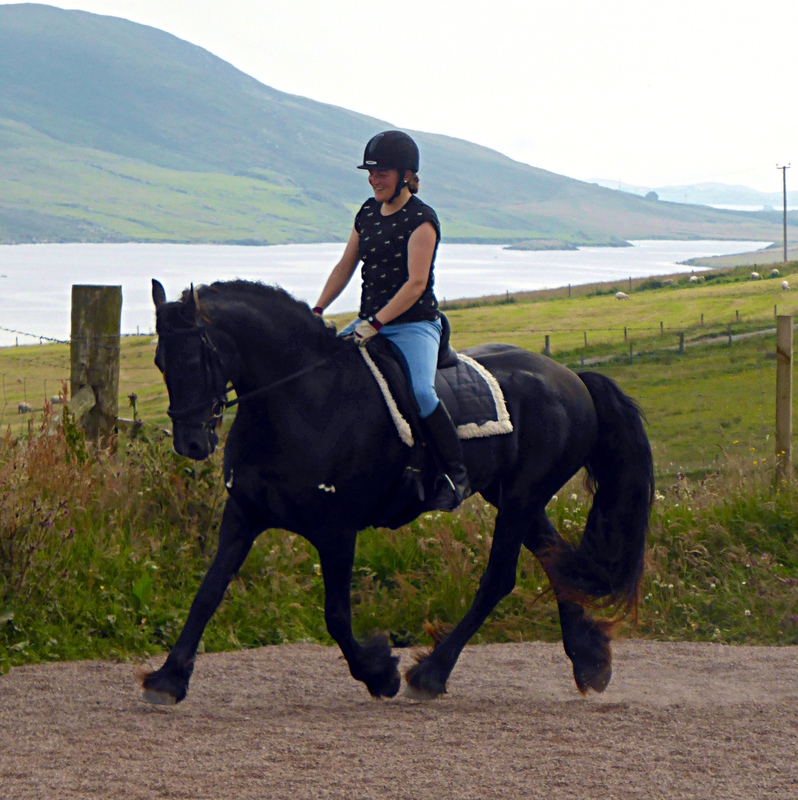 During February you can take part in a Freestyle to Music Class with Dressage Anywhere. Follow this simple guide to get you started with all you need to know about how to plan your test. 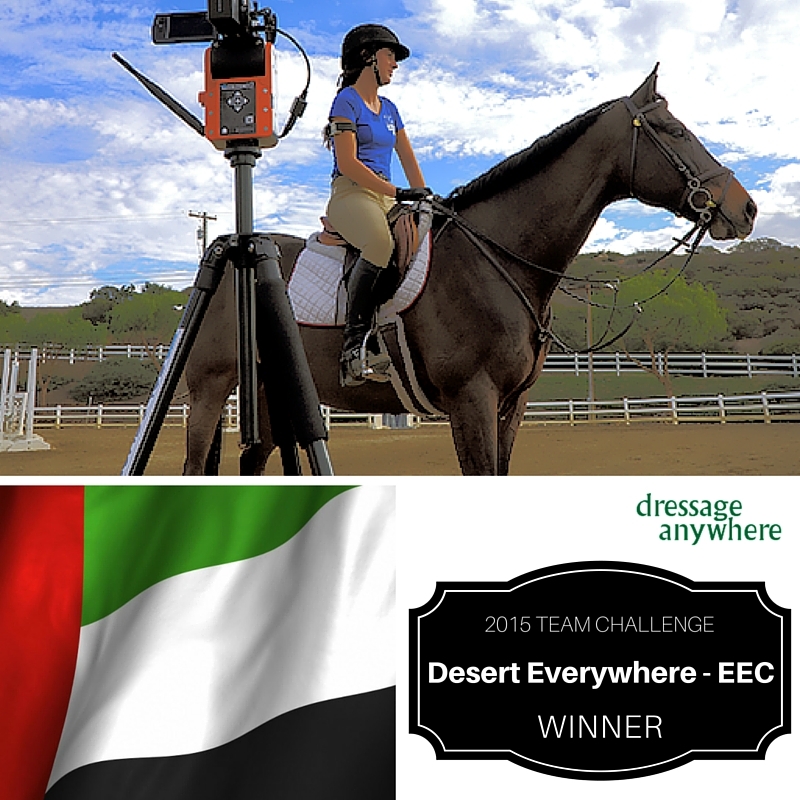 Desert Everywhere - EEC are our 2015 Team Challenge winners! 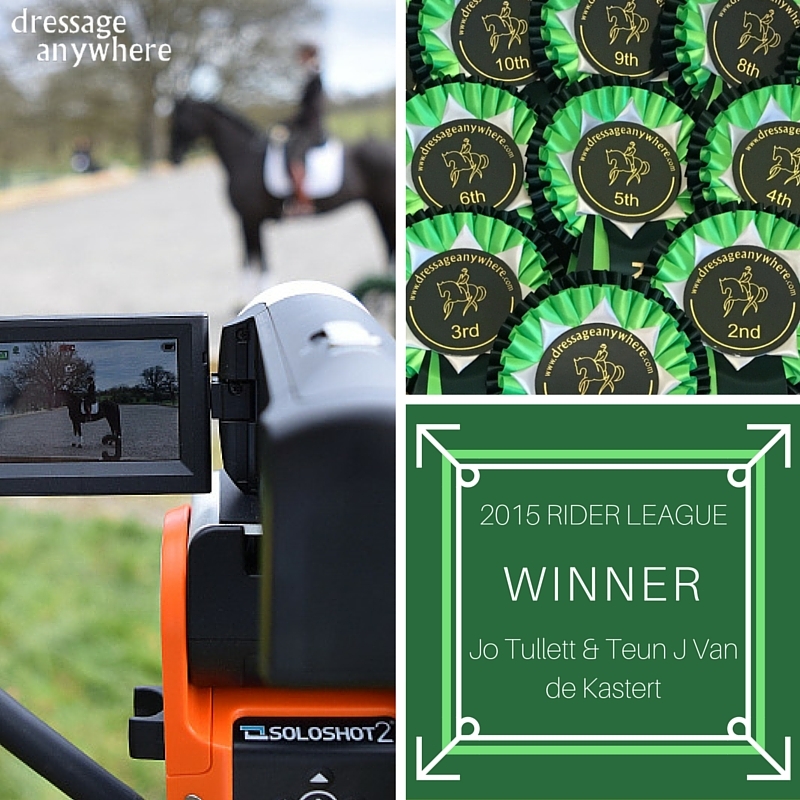 Jo Tullett and Teun J Van de Kastert (TJ) are the Dressage Anywhere 2015 Rider League Champions with 141 points! 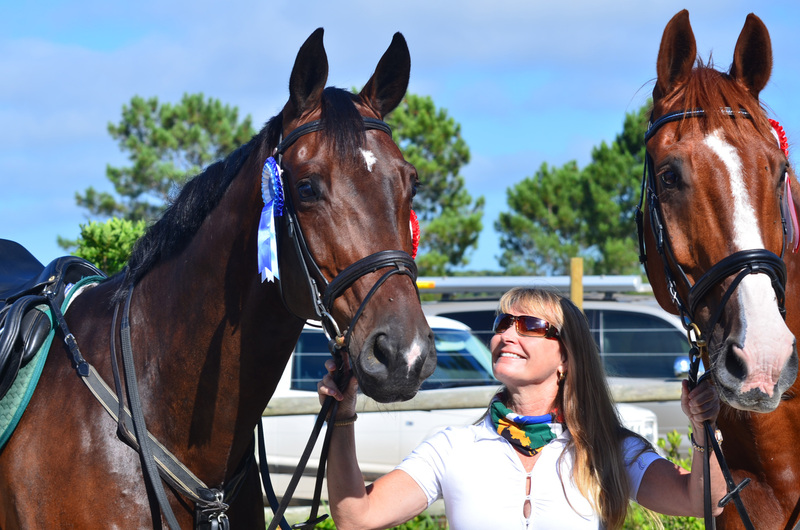 Congratulations to the Jim Boyle's Ex-Racehorses league winner, Lise Roberts and Streetfighter and to reserve champion Charlotte McDwyer and Dolly No Hair! 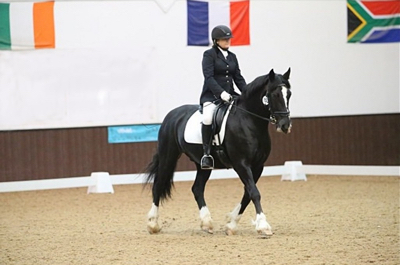 The third British Dressage Associates Online Championship Show were held in November, with riders around the world competing from Introductory to Elementary. 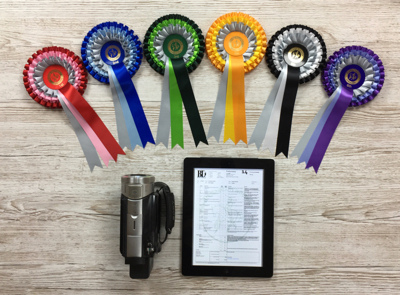 Qualify for the Equetech CT Rider Winter Dressage Championships 2016 with Dressage Anywhere! 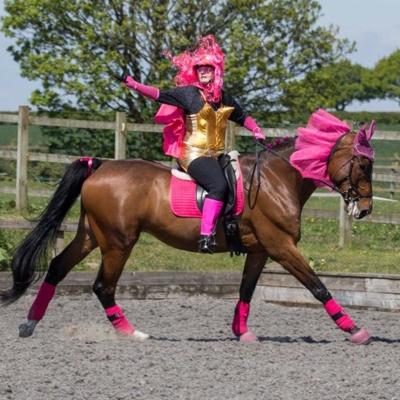 In this special article, Robin Haysom tells us all about her fight against breast cancer and what our #wearitpink campain meant to her. 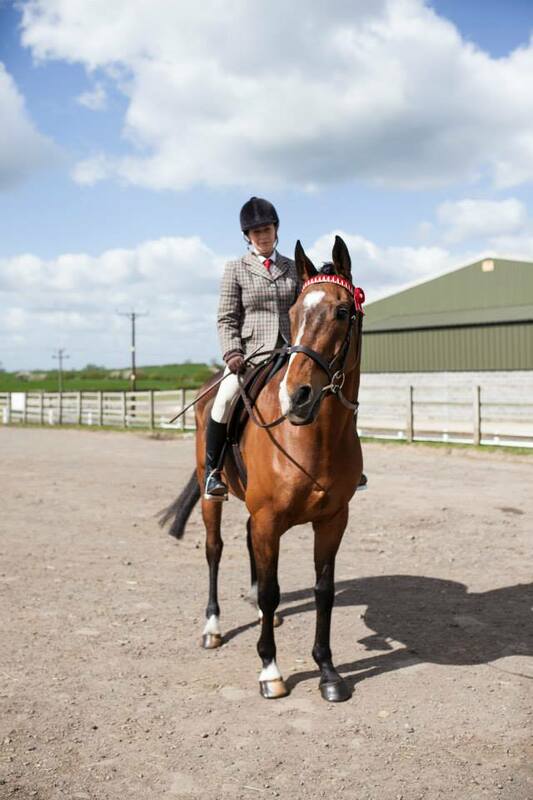 We're delighted to introduce Sophie Beaveridge and Portersize Top Dollar, or Topper as he's known at home. 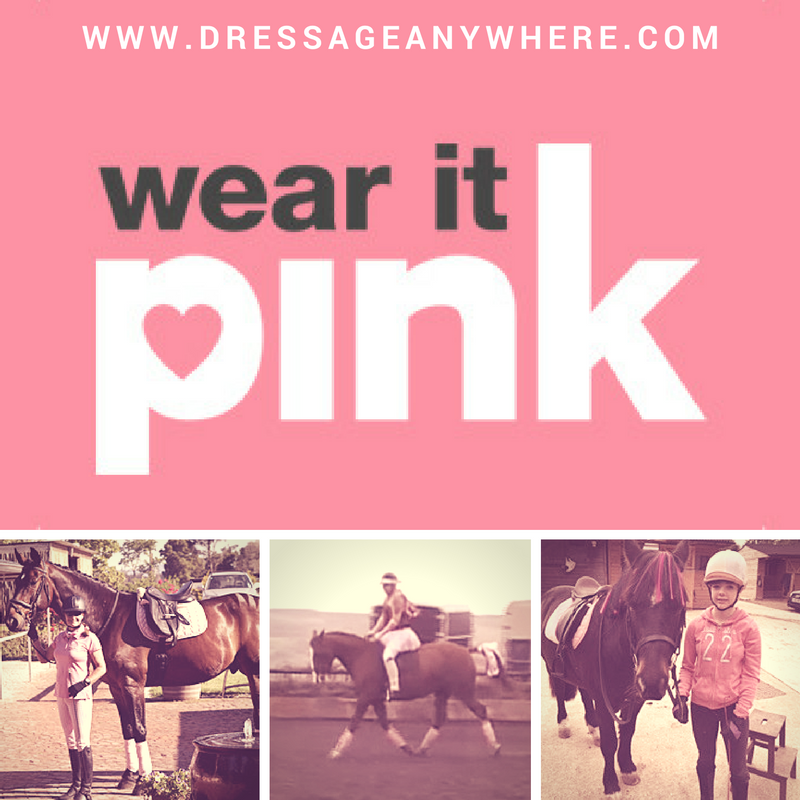 October is Breast Cancer Awareness month and at Dressage Anywhere we want to help raise both awareness and funds. 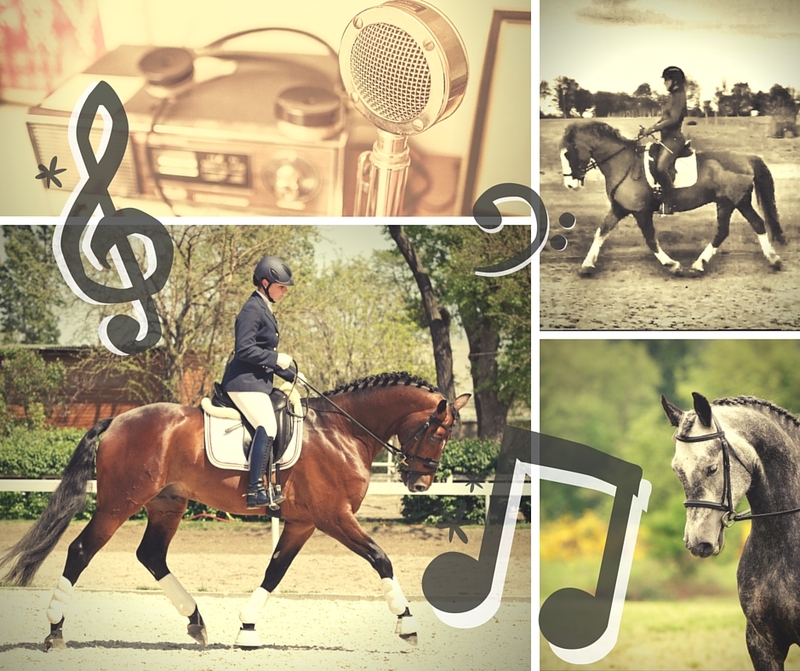 Enter August's Dressage Anywhere Prelim or Novice class and win one of 5 Sound Schooling audio downloads of your choice! 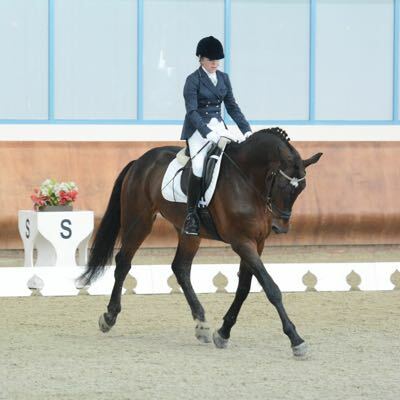 During 2015 you can be in with a chance to qualify for the third British Dressage Associate Online Championships. 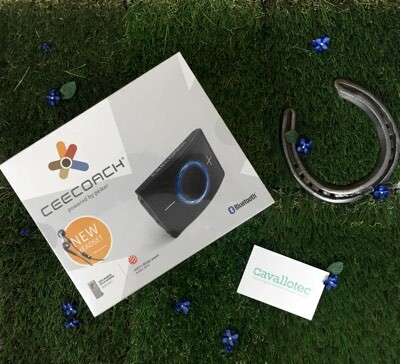 Which team will be our lucky winner of this exciting remote video package? 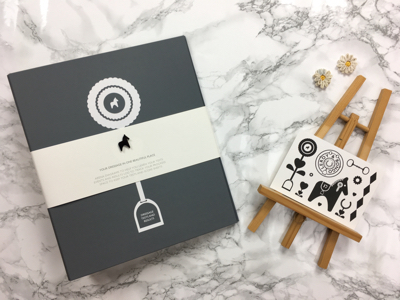 We're so excited that we've another to give away to our 2015 Team Challenge winners! 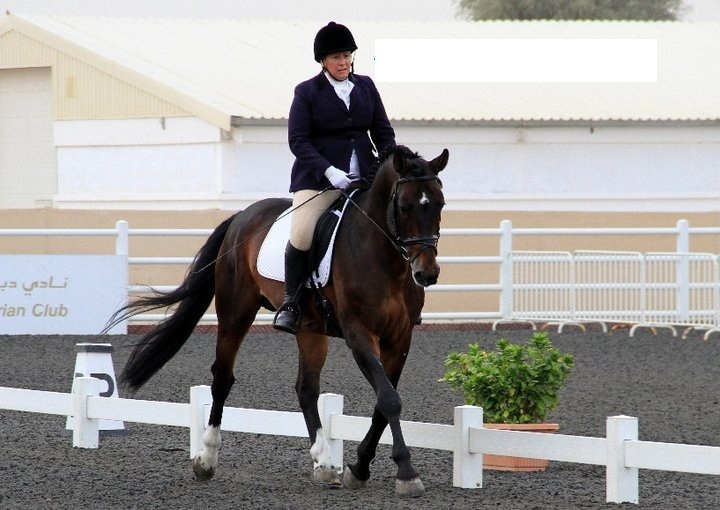 Congratulations to our 2015 UAE Online Dressage Champions! Entries are now open and will close on 30 May 2015. 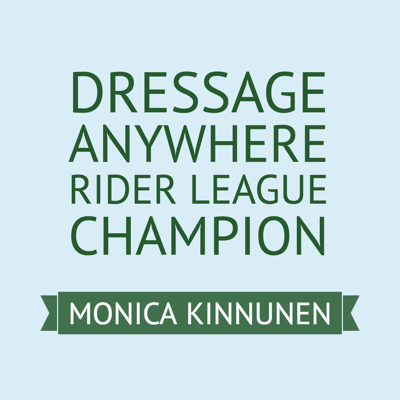 We're delighted to announce an exciting prize for our 2015 Rider League. We've teamed up with new sponsor MIBOT to award the 2015 Champion with a unique package worth over £600! 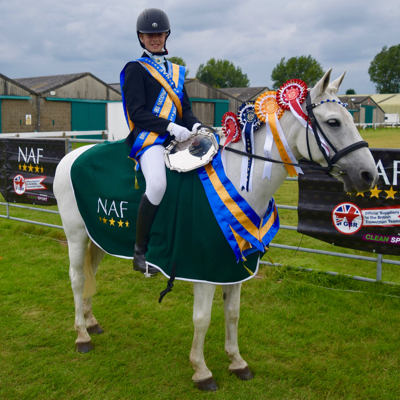 We love hearing from our riders so it was great to hear that Caroline Anne Ratcliffe from Cambridgeshire had received her prizes for placing 3rd in our 2014 Rider League. To all at Dressage Anywhere. Would you like to be the star of our next schedule? 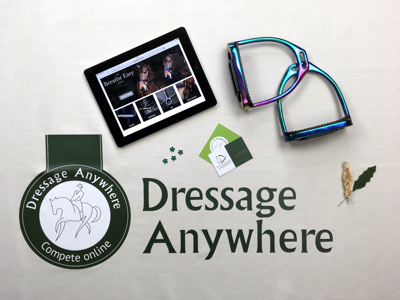 We've completely redesigned Dressage Anywhere to give you an even better service! 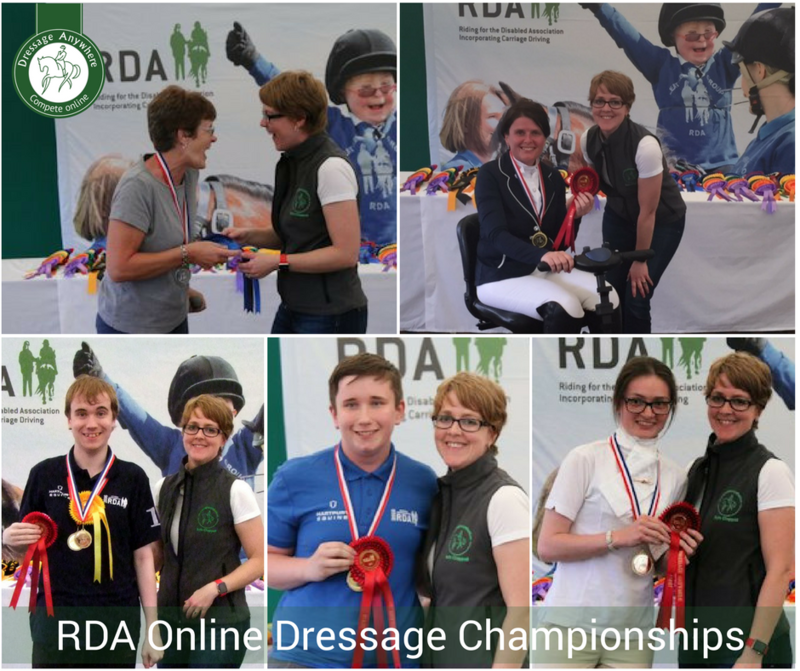 We're delighted to announce the results of our second Riding for the Disabled Online Dressage Championships! 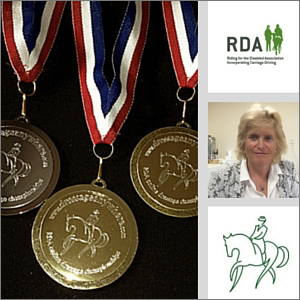 Dressage Anywhere and the Riding for the Disabled have teamed up for a second year to run the RDA Online Dressage Championships 2014. 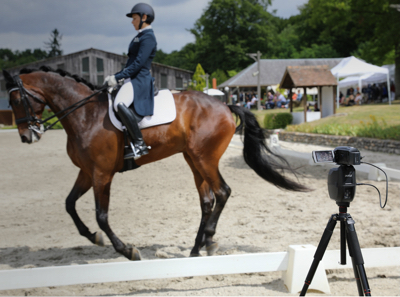 We're so excited that the first British Dressage Associates Online Championship Show opens this month! 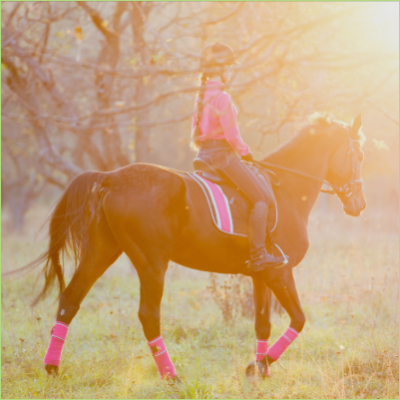 Between May and August we partnered with our friends at Equetech to run the Just Dance Dressage Equetech Challenge, our first freestyle to music class. 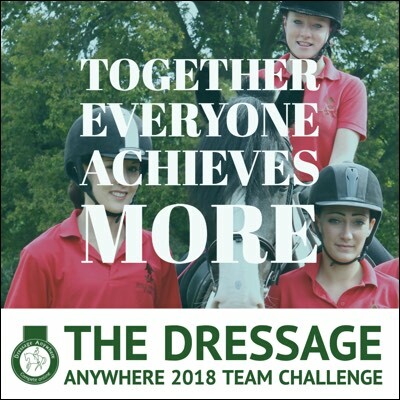 Dressage Anywhere and Jim Boyle's Ex Racehorses have partnered to bring you the Jim Boyle's Ex Racehorses Dressage Competition. 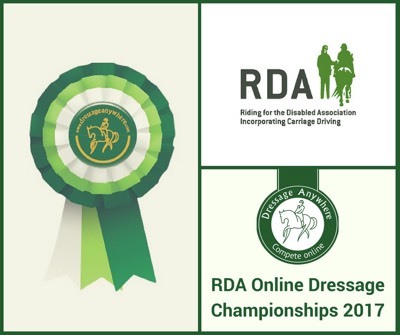 After eight qualifying classes and 67 entries from eight different RDA centres and groups , 33 riders were invited to take part in the first RDA Online Dressage Championship Show during May 2013. Not sure what you need to get going? 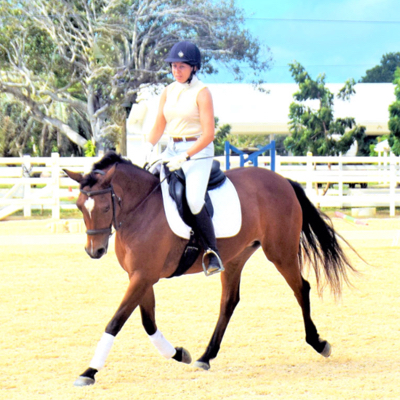 Review our getting started guide for some quick tips on riding a test for Dressage Anywhere designed to get you going quickly. The Just Dance Dressage Equetech Challenge is underway! 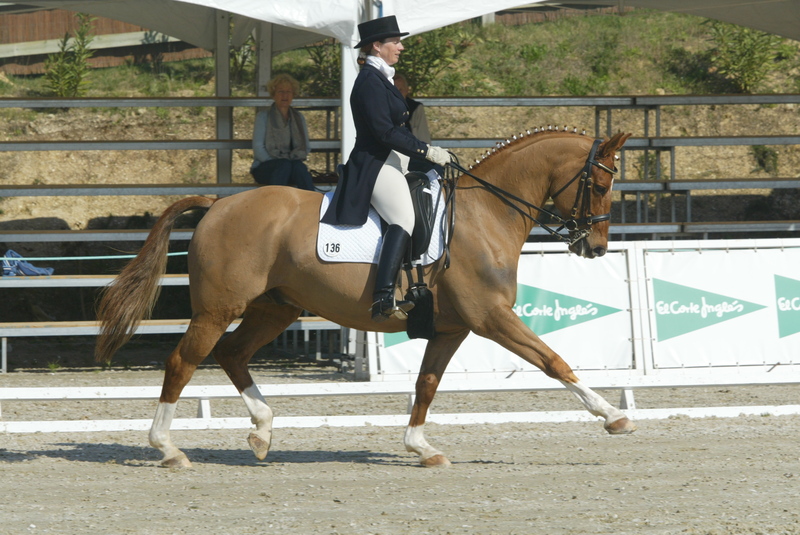 Between May and 31 August 2013 riders can compete in a new dressage to music class at Preliminary, Novice or Elementary level. When can I enter a competition class? 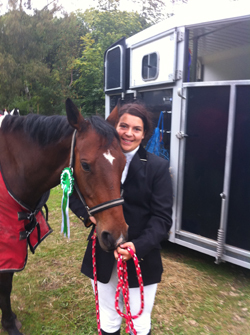 "In July we celebrated our first ever 1st placing - woo hoo! 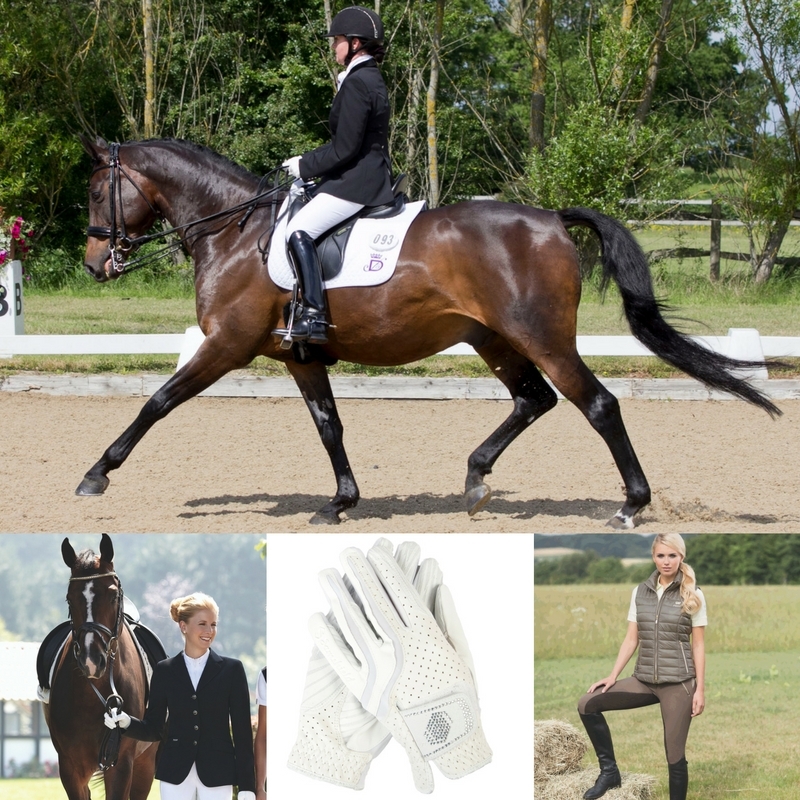 Our 2012 Rider League sponsor is Equetech, one of the leading providers of Equestrian clothing in the UK. 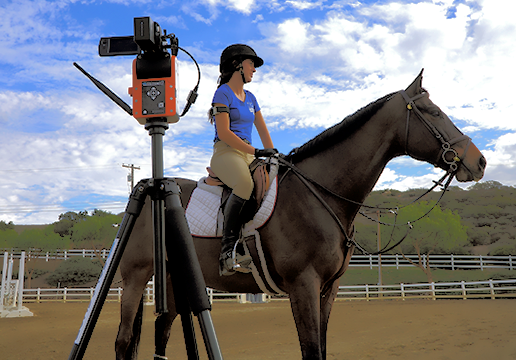 See the Equetech Dressage Anywhere Rider League for more information. 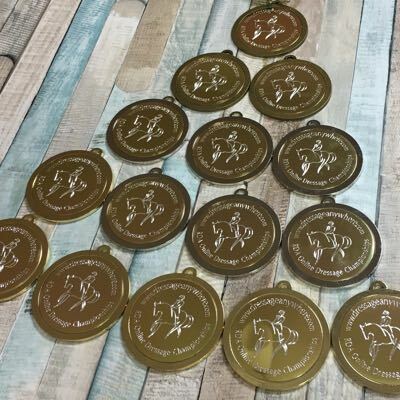 Dressage Anywhere would like to wish all the riders competing in the Unaffiliated Dressage Championships at Wellington Riding on Monday 23 April the very best of luck. 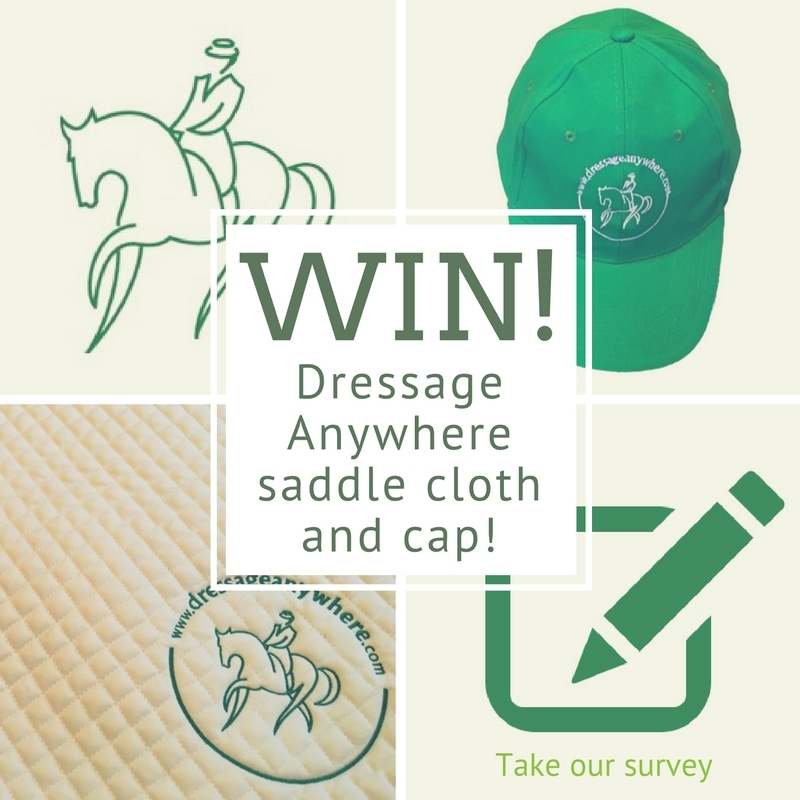 Horseworld, Dubai's leading equine retailer, is offering special prizes for United Arab Emirates riders with the three highest percentages in our March competition. 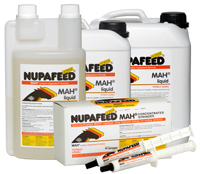 Dressage Anywhere is delighted to welcome Nupafeed as the latest sponsor of our competition classes. 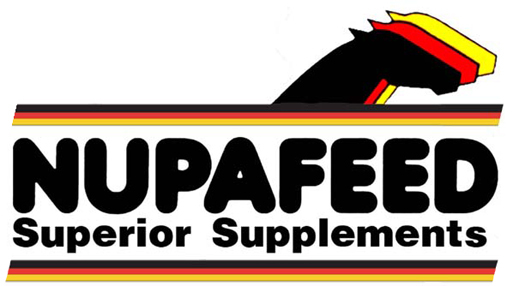 Win up to £20 Nupafeed vouchers in September's Intro and Novice classes. 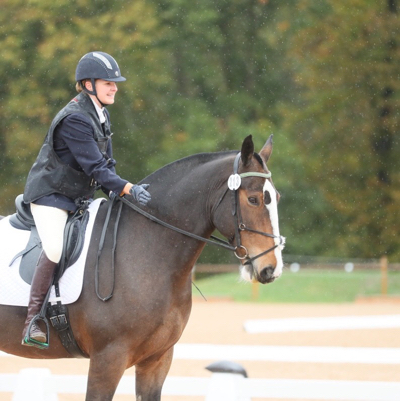 Dressage Anywhere likes a challenge and Kim Jones certainly provided us with one! 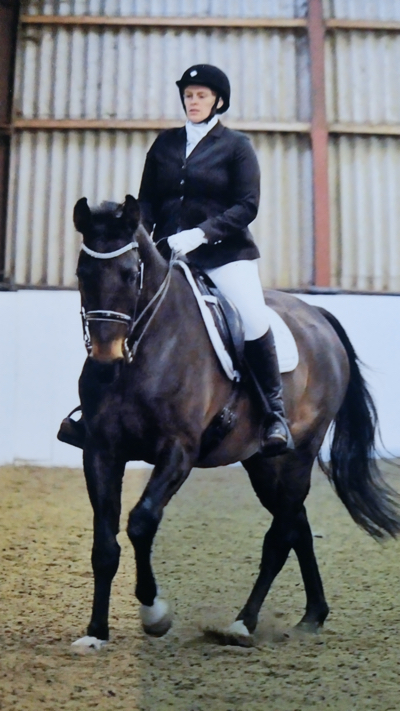 Based in South Carolina USA, Kim is a Grade II Para dressage rider with hopes to qualify for a national competition. 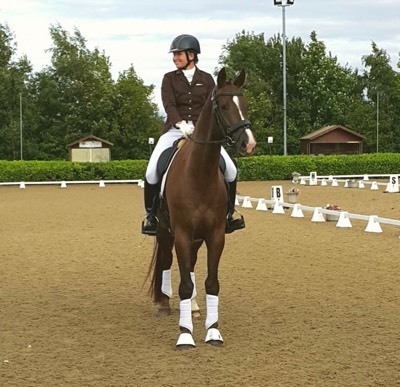 Dressage Anywhere was at the British Para National Championships at Hicksted last month to cheer on one of our Para riders, Clare Molyneux. 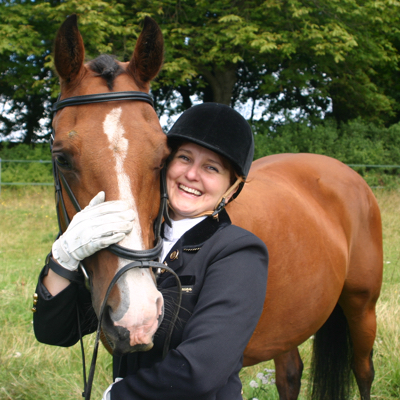 Sharon Kilminster, sponsor of May-August classes tells us more about Kilminster Equestrian. 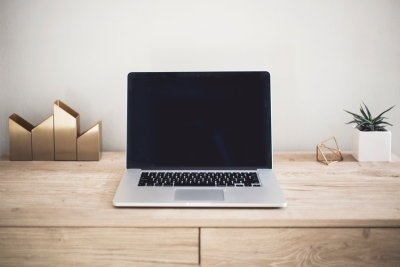 We've gathered together a list of our most frequently asked questions. Let us know if there are any others you would like us to include here. Can I have my test called for me? 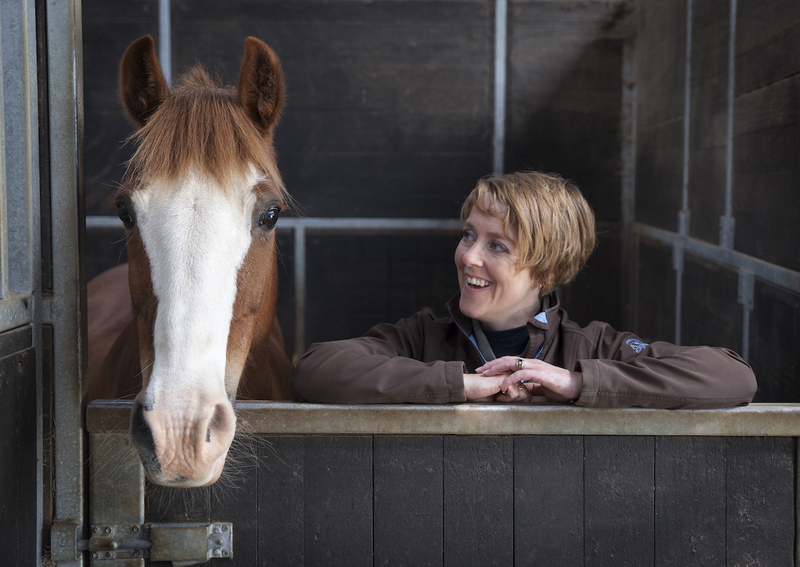 Nicola Smith, sponsor of April-July classes tells us more about how she got started, what drives her passion for horses and what services she offers. 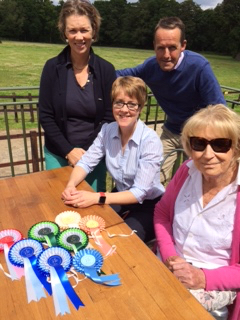 The winner of Dressage Anywhere's inaugural Riding School League is Longfield Equestrian Centre from Todmorden, Lancashire with 44 points. 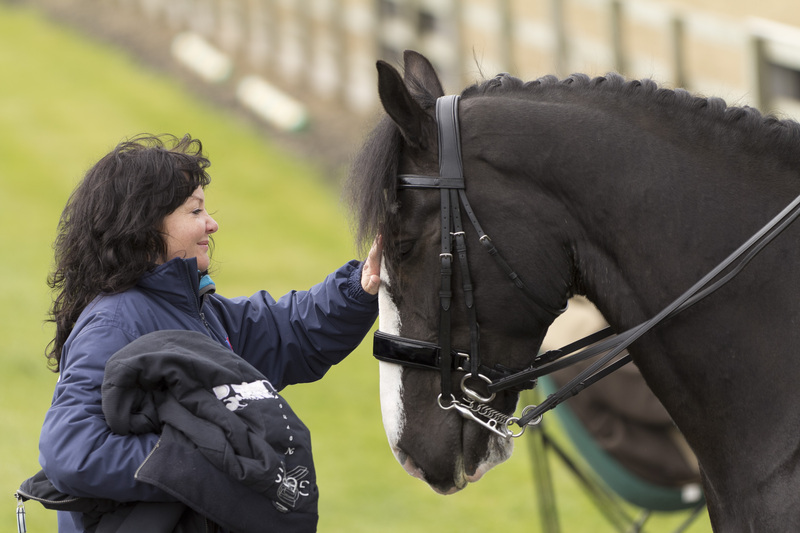 Inspired by the success of the Fantastic Elastic Rein, Carl Hester and his team have developed a rein which will especially benefit RDA riders. 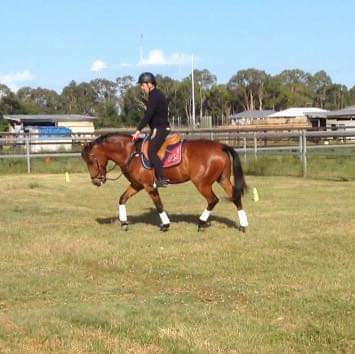 One of the great things about Dressage Anyhwere is you don't need an indoor or outdoor arena to ride your test, you can set up a grass arena on any flat piece of land or field. 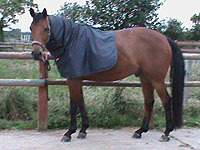 Dressage Anywhere tests must be ridden under the rules of relevant governing body. 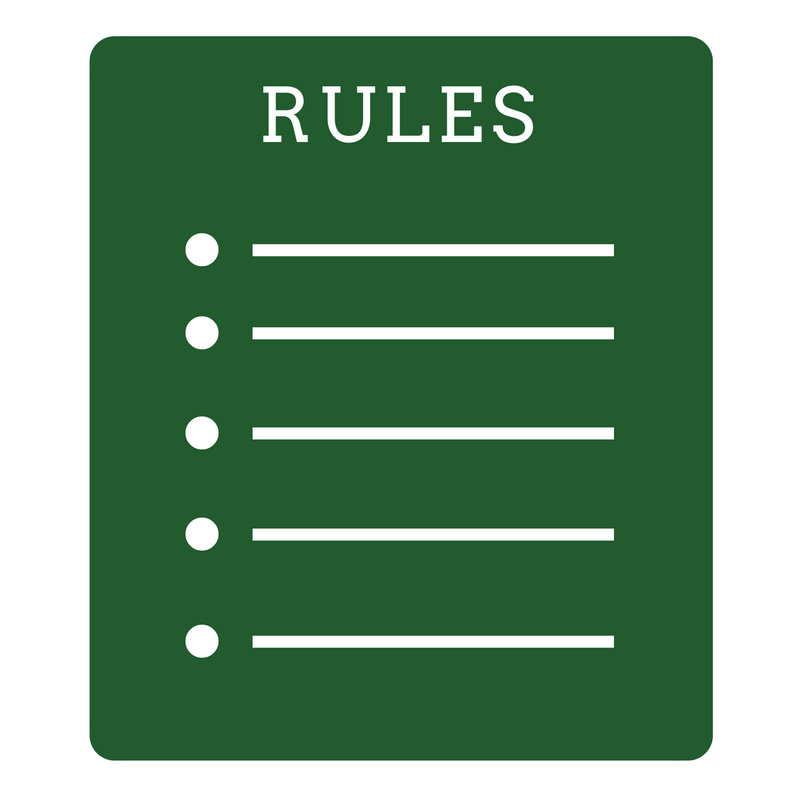 See our Rules page for more information. 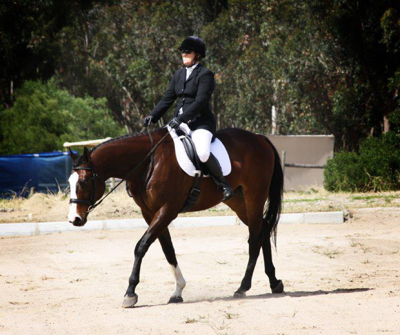 Dressage Anywhere is now offering a Riding for the Disabled class - see Class 9 in the January and February schedules. 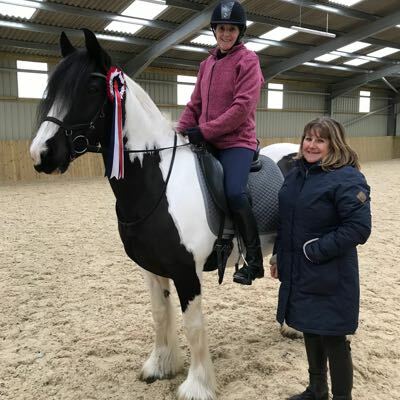 Dressage Anywhere was lucky enough to visit Avon Riding Centre in Bristol, the hosts of British Dressage and Riding for the Disabled's Para Day: The Way Forward on 9 January. Full results listings for our November competition - congratulations to everyone who took part! 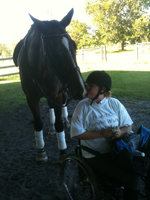 Dressage Anywhere is proud to sponsor Horse Hero's exclusive interview with Laura Bechtolsheimer. 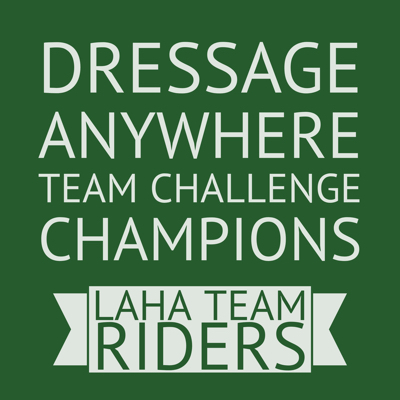 Dressage Anywhere is proud to present an FEI Challenge class in December where competitors can practice their Challenge tests and win prizes and rosettes. Our September judging panel. 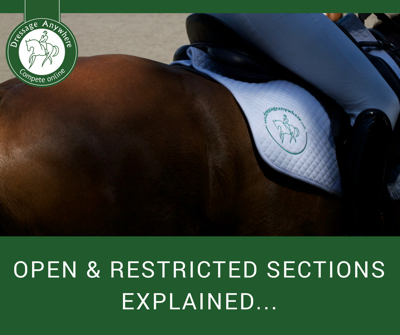 Please note our Class 1 BD Introductory judge will not be available from 1 October, so make sure you upload your test entries by lunchtime 30 September. 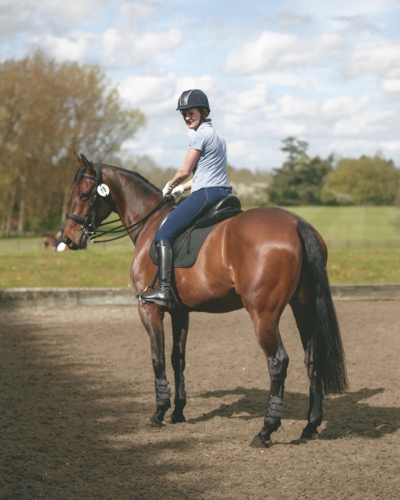 Check out the new value for money feature in September's Your Horse magazine for a special Dressage Anywhere offer! As part of the four day Petplan Area Dressage Festival, Wellington Riding are holding a Dressage to Music Championships on the evening of Wednesday 15 September 2010. 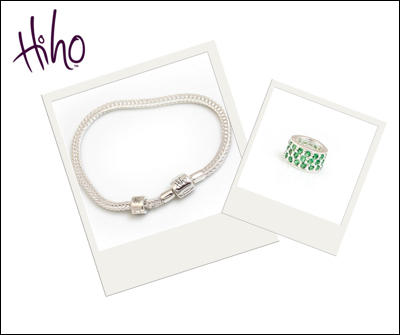 Congratulations to everyone who took part in our July competition. 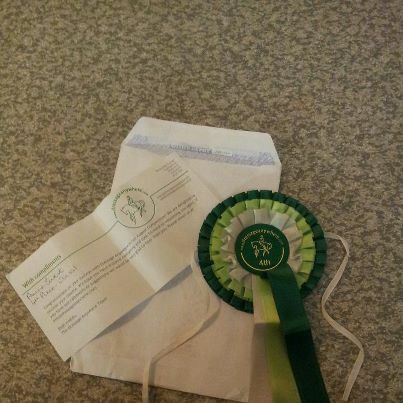 Prize money and rosettes will be with our placed riders shortly. 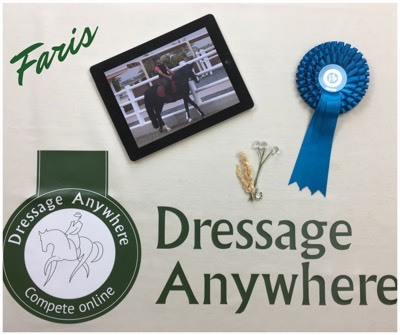 Our news page brings together exciting news and events from across the world of dressage and keeps you up to date with what's happening at Dressage Anywhere. 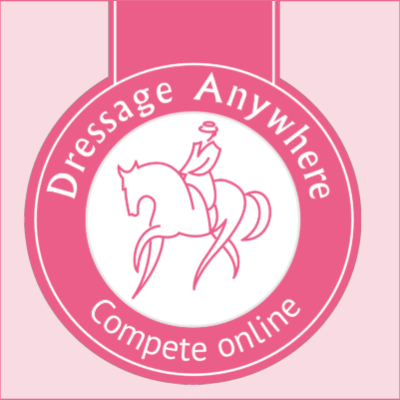 International online dressage competition website www.dressageanywhere.com brings competitors top level judges for a wide array of classes.